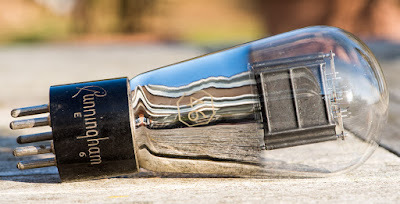 Time again for the traditional New Year's Eve post! What an exciting year this was! 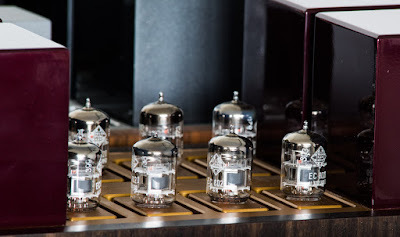 Filled with great sound, fine music, interesting projects and new adventures. 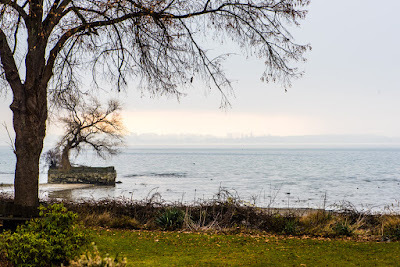 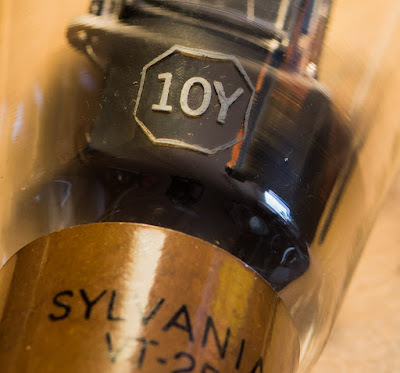 Time to recap which of the projects mentioned in the last New Year's Eve post got done and to look ahead what is planned for next year. 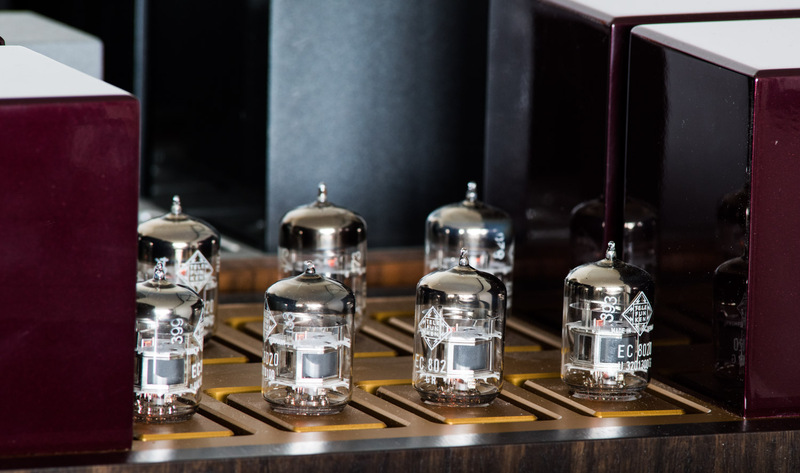 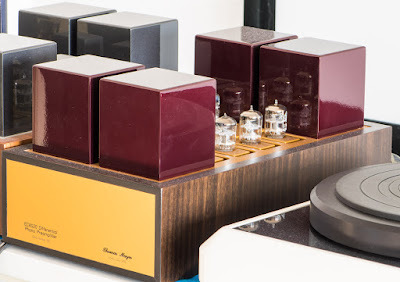 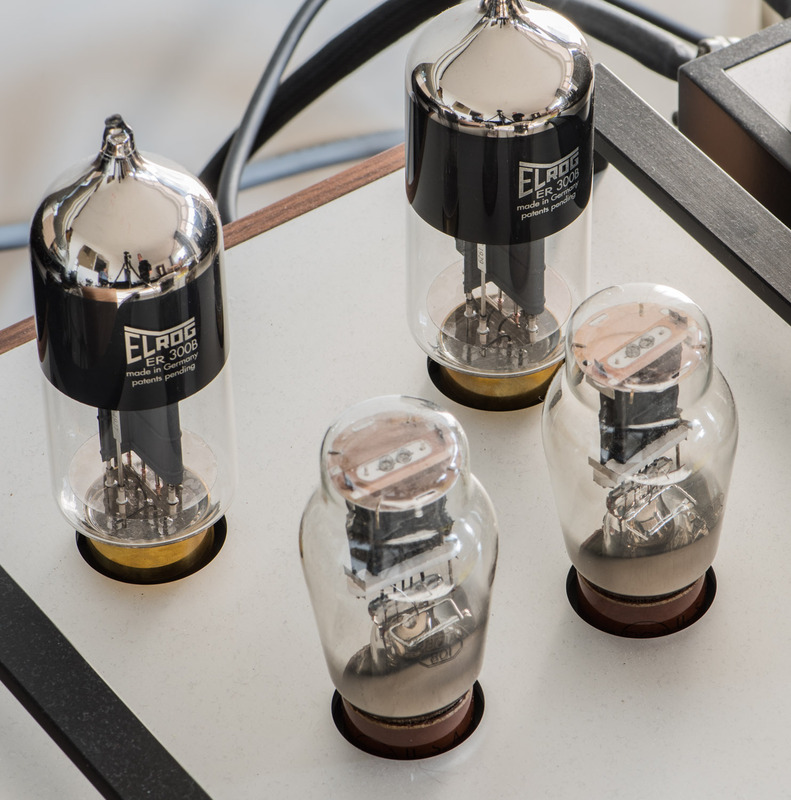 The differential EC8020 phono finally came to life both with copper transformers and all silver in shape of the ultimate phono stage as companion for the ultimate line stage. 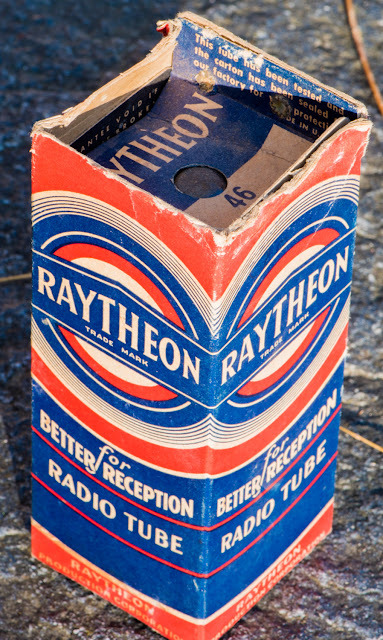 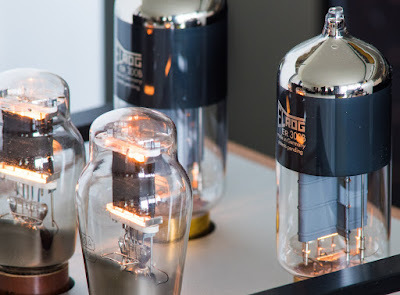 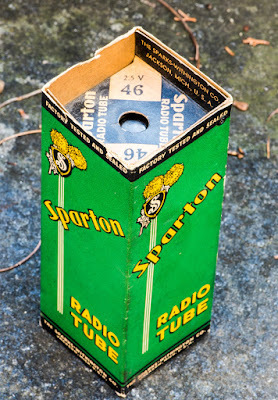 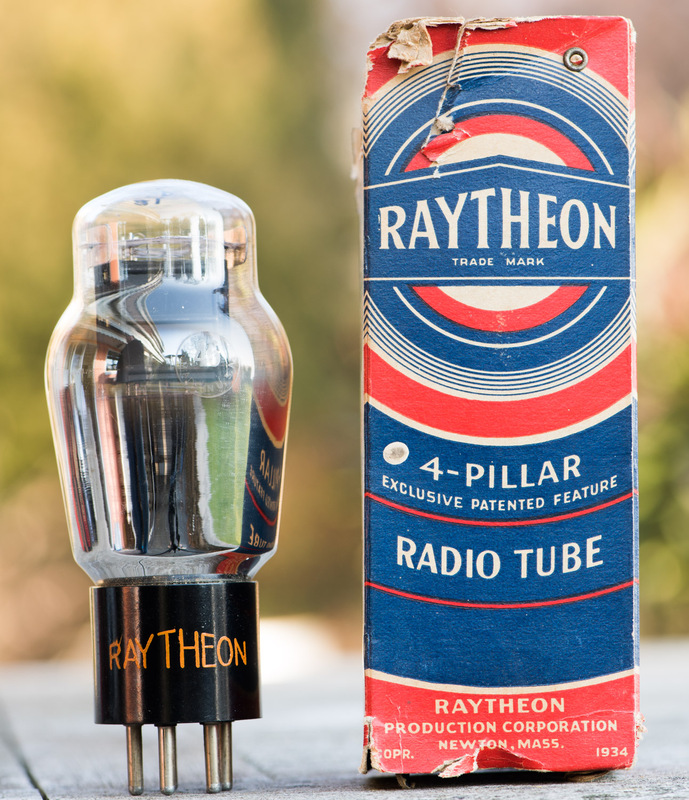 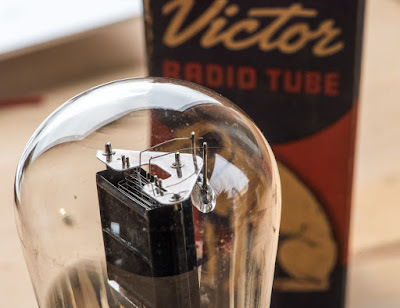 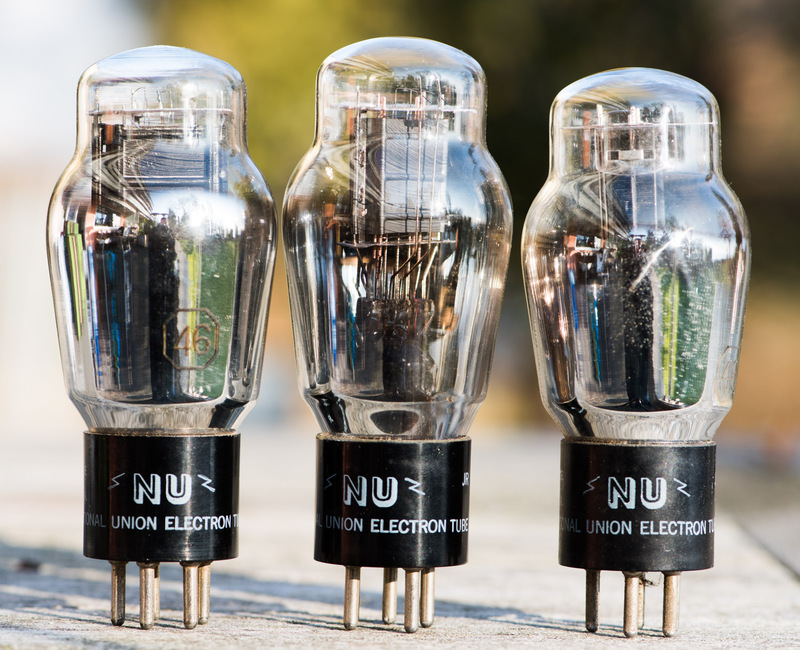 In addition a version with D3a tubes was built as well. To complete the fully differential line I also made a matching push pull amp with 10Y drivers and 300B output tubes. 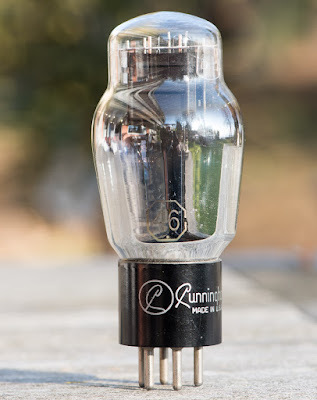 I have been mentioning a potential push pull amp since several years, now it's finally here. 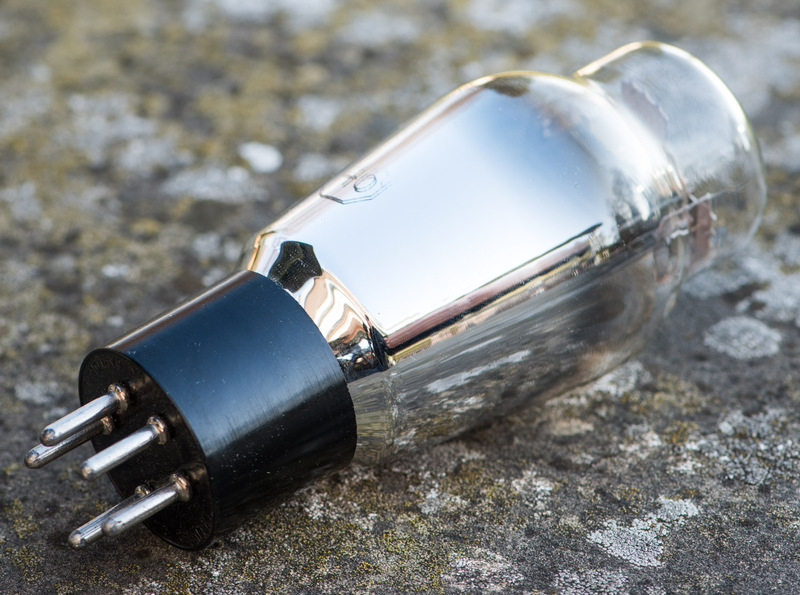 Planned for next year is an all silver ultimate version to go with the top line and phono stages. 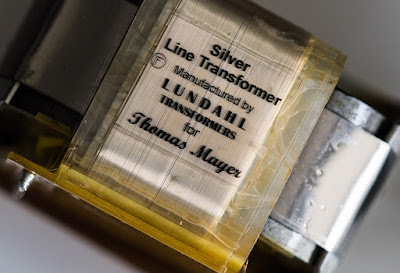 Silver was a big topic as in previous years and I expect many more silver projects to come. 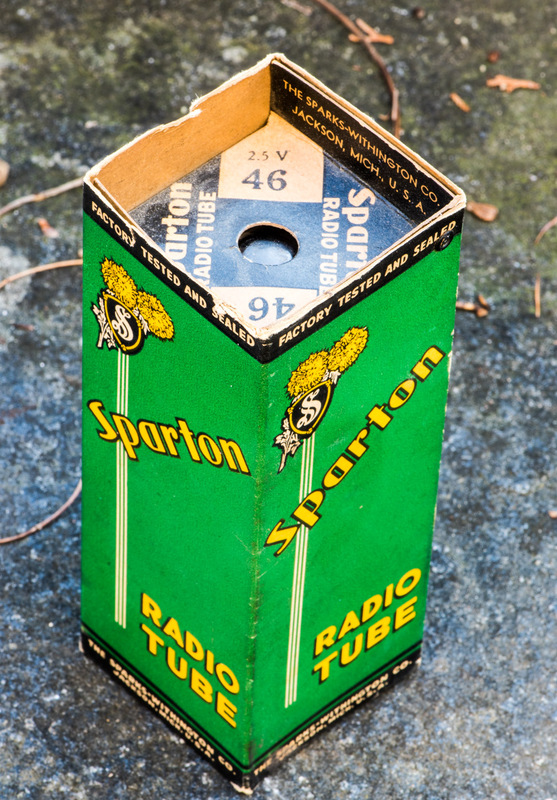 Another highlight was the 'rediscovery' of the 46 tube. Last year I announced plans to develop a DA-Converter. This project had to be postponed since the biggest adventure of this year demanded a lot of my time. 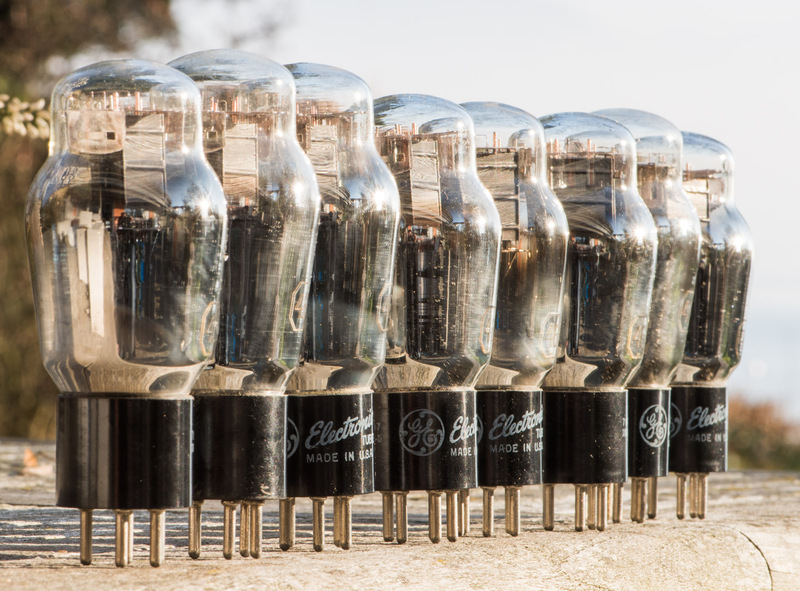 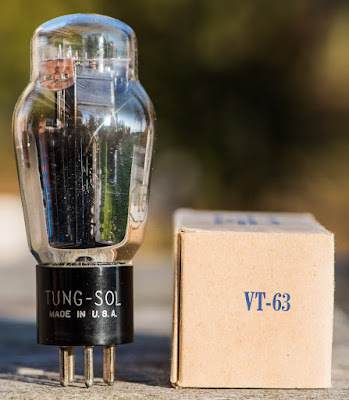 A tube amp builders dream came true for me: Starting a tube manufacturing business. 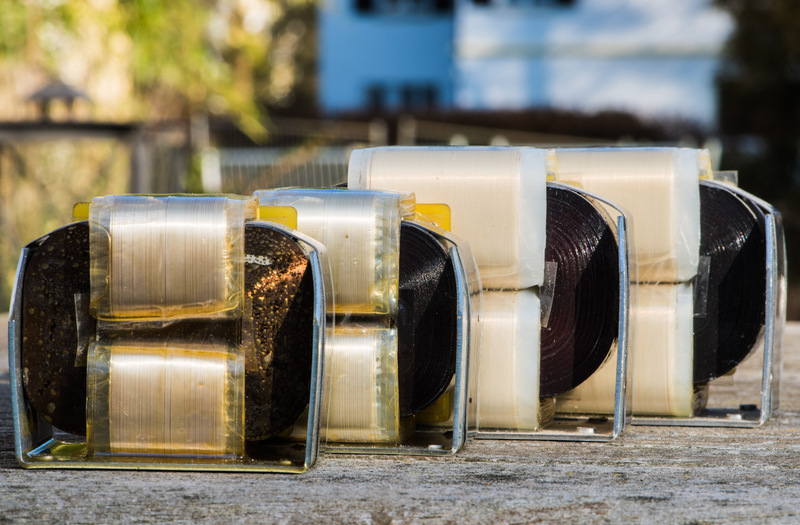 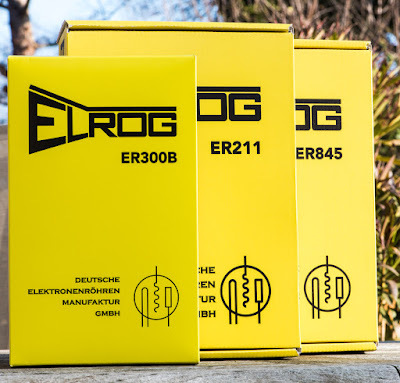 In August I announced the acquisition of all assets of ELROG and the founding of a new tube manufacturing company: Deutsche Elektronenröhren Manufaktur GmbH. 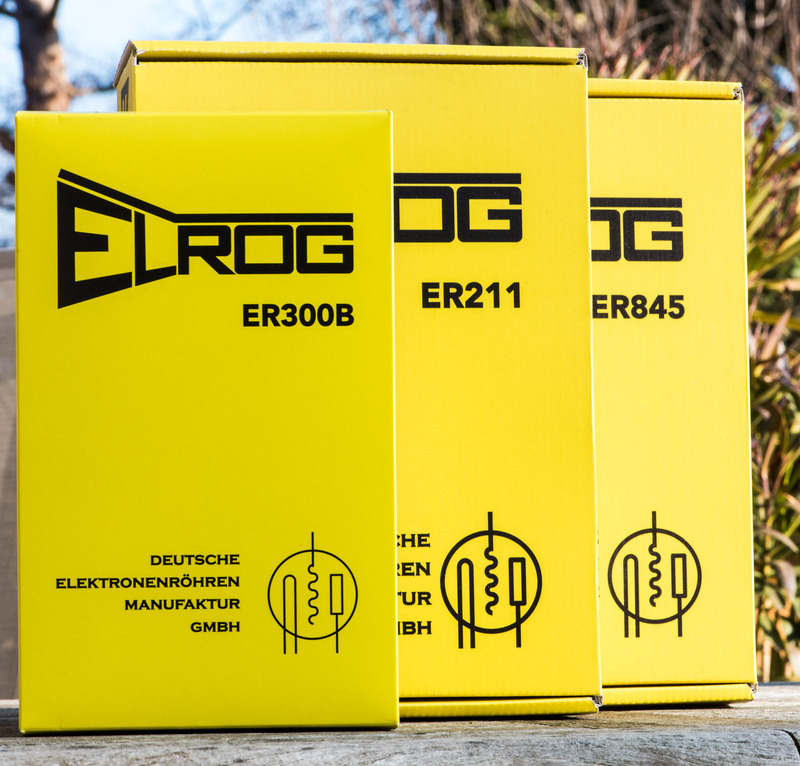 We are continuing the production of the known triodes 300B, 211 and 845 with several improvements and under tight quality control. 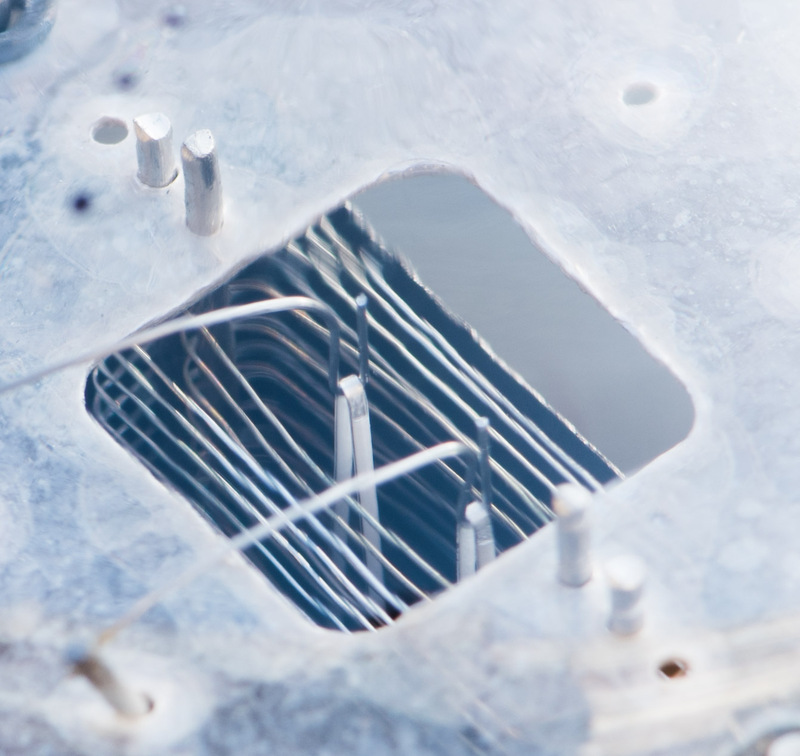 In addition we were able to announce a new type to join this line up, the molybdenum plate 242C. 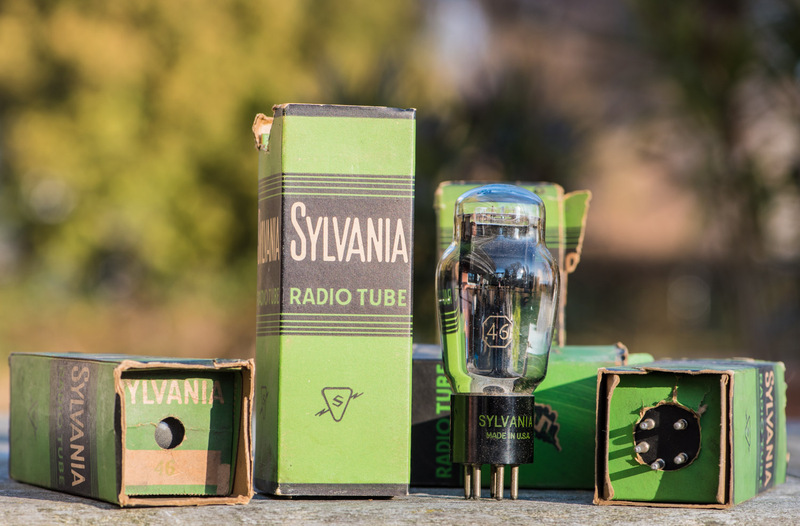 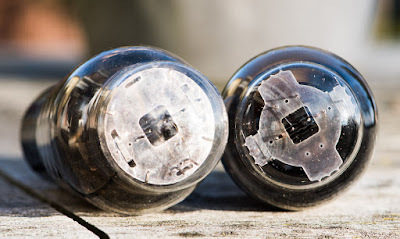 This will not be the last new tube type introduction. There is more in the pipe. 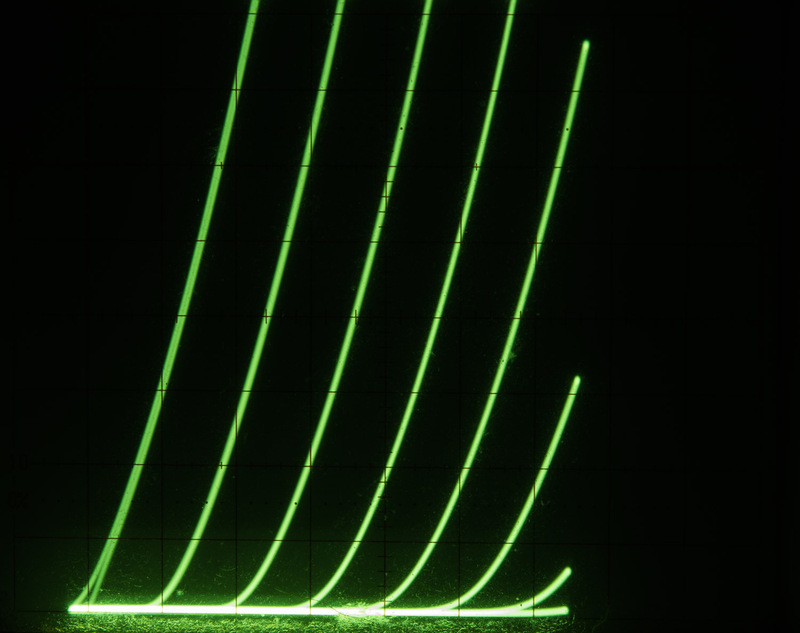 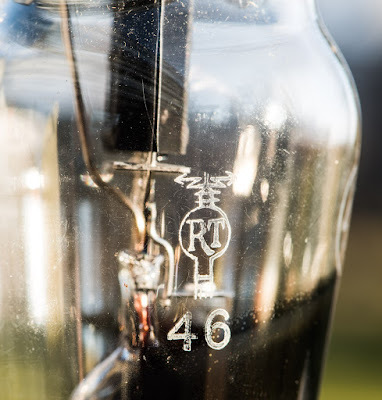 First there will be a rectifier with thoriated tungsten filaments which we hope to introduce at the High End fair in Munich next year. 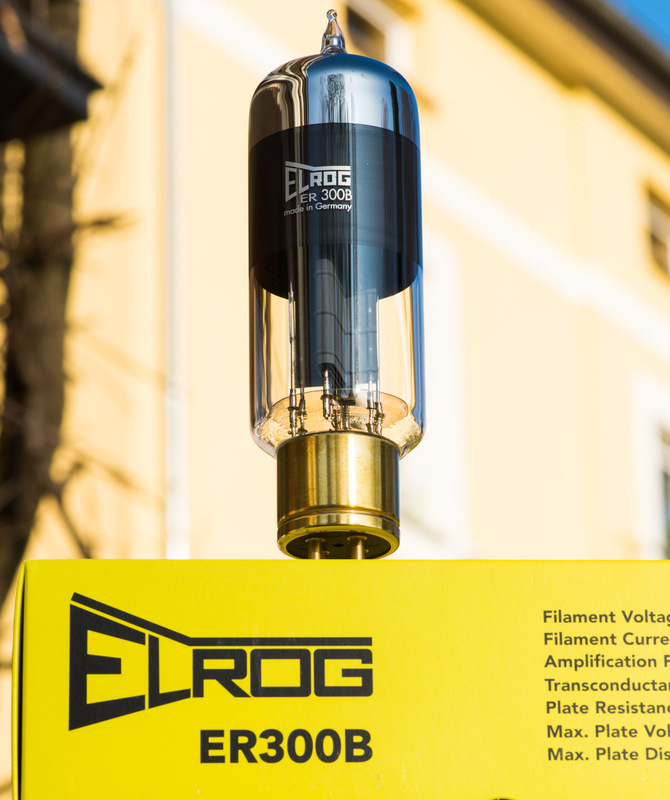 I get many requests for additional Elrog tube types. 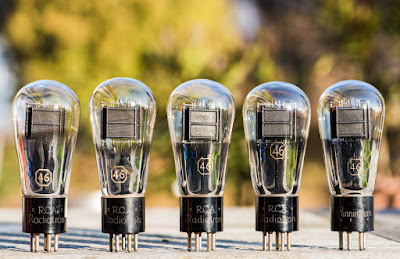 Next year we will evaluate which of those to develop. 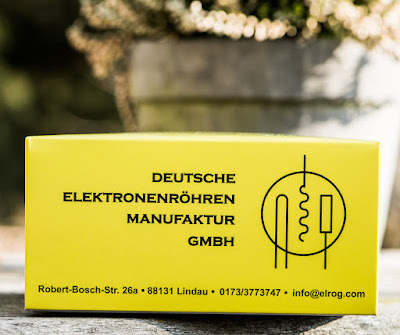 I'd like to thank all readers of the VinylSavor blog, customers, suppliers and the staff of Deutsche Elektronenröhren Manufaktur GmbH for the great year! 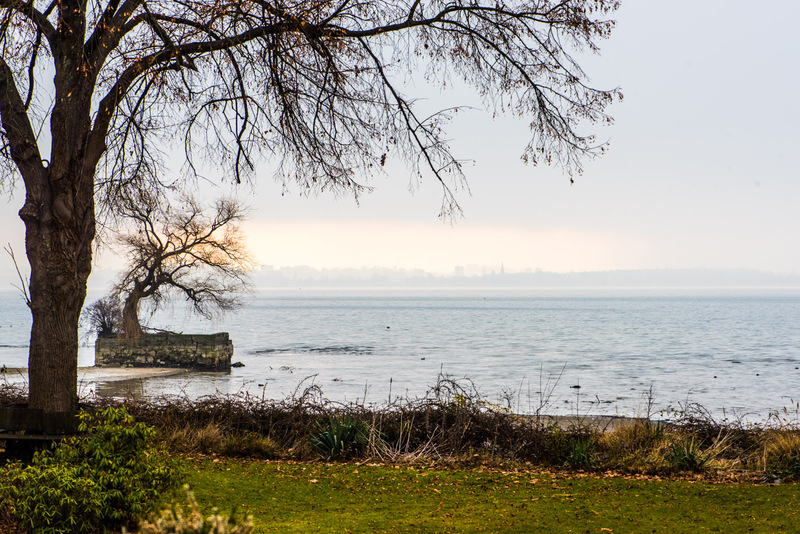 All the best for 2017 for you and your families! 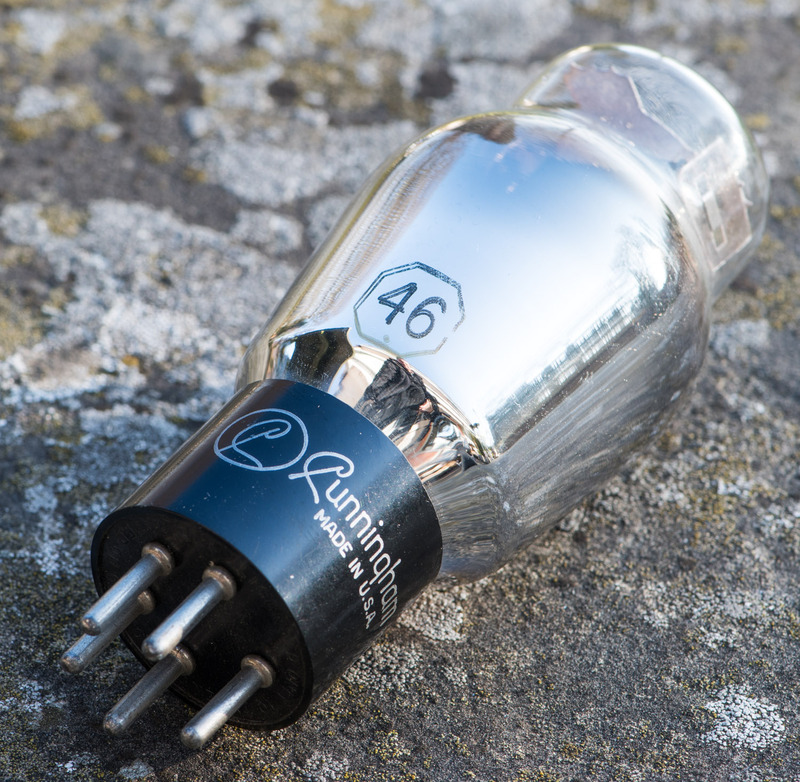 As mentioned in the previous post about the recently built single ended amplifier, the 46 deserves more attention. So I selected it as tube of the month. 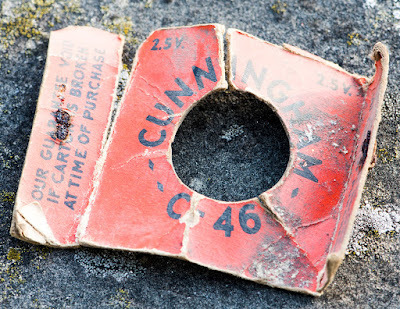 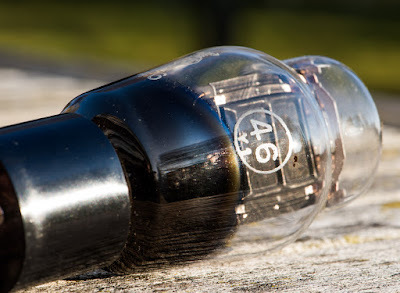 Since the 46 was already tube of the month way back in 2011, this is a revisit. 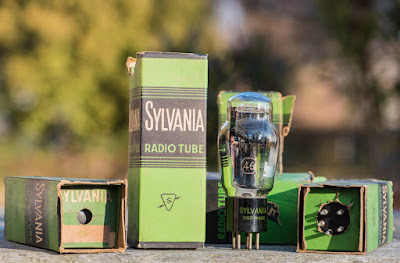 That first post was a bit short and in the meantime there are a few more 46 tubes in my collection to show. 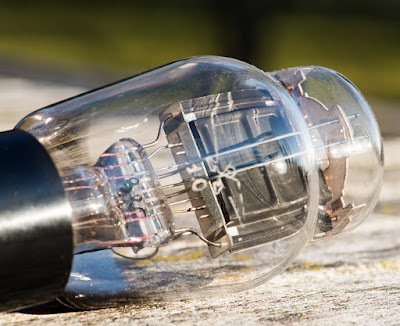 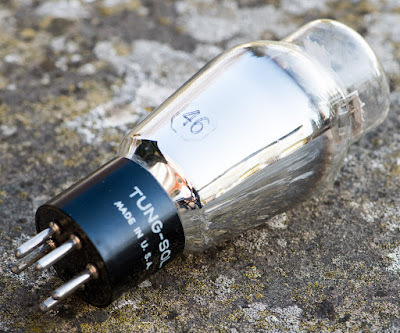 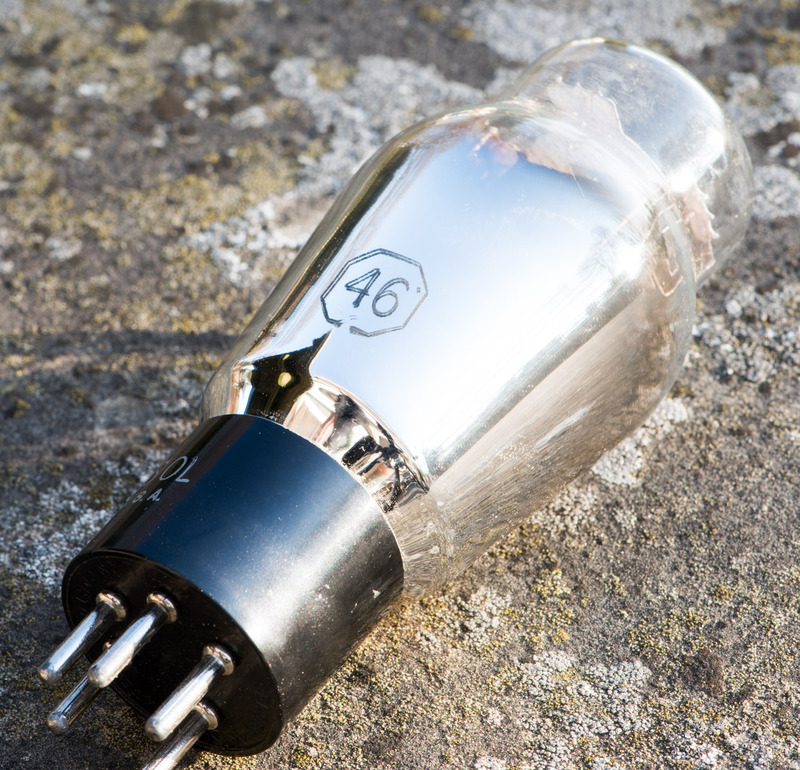 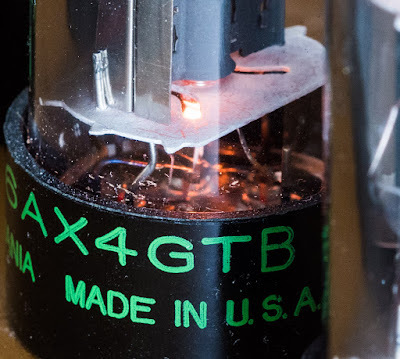 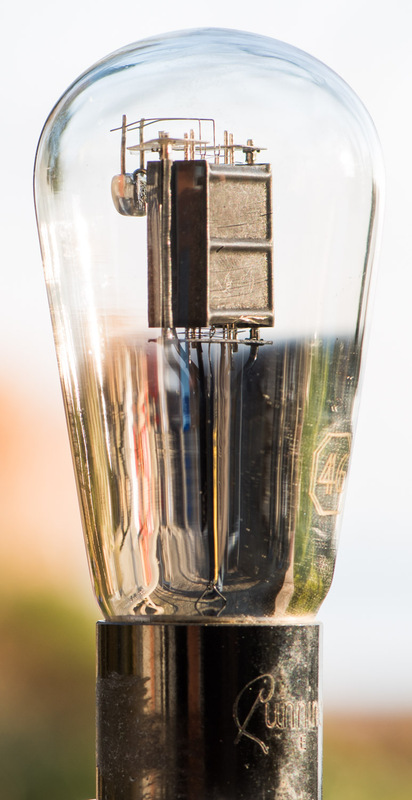 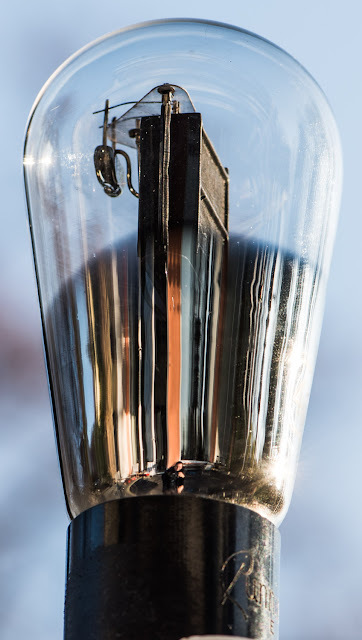 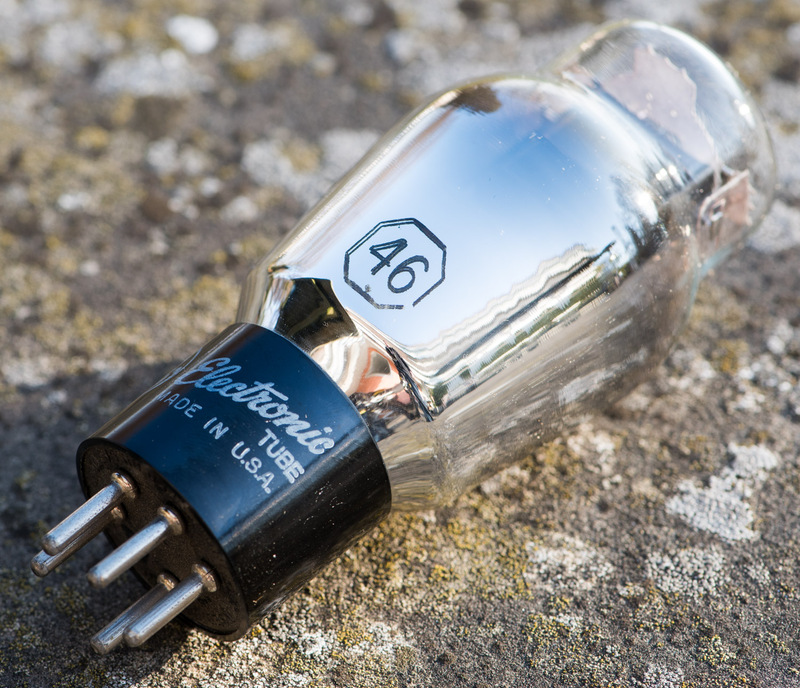 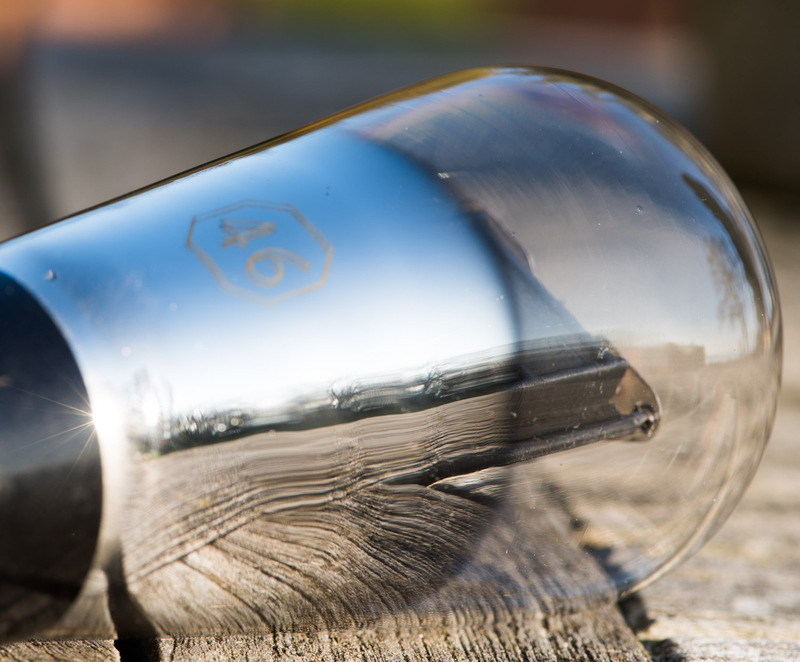 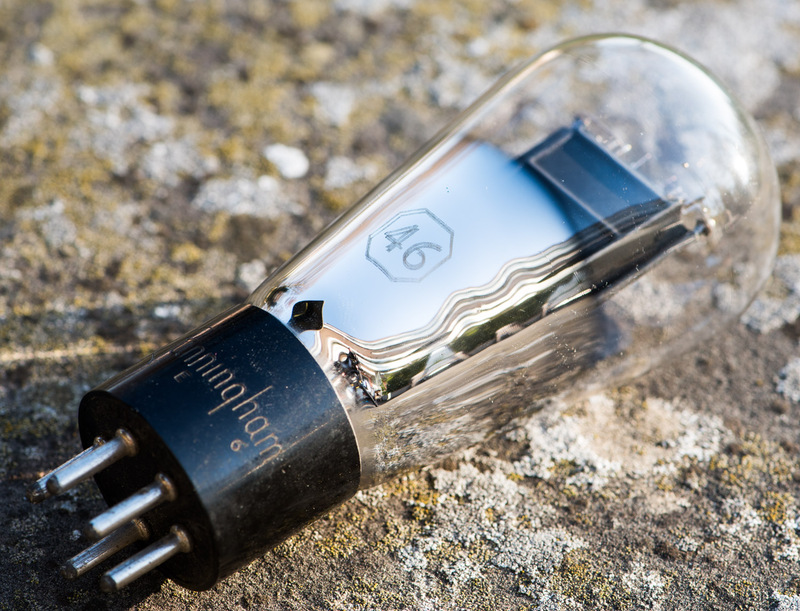 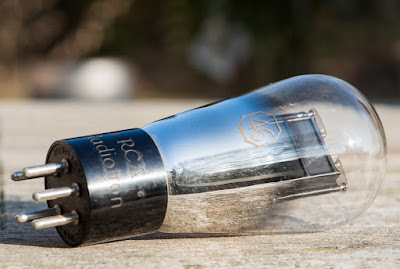 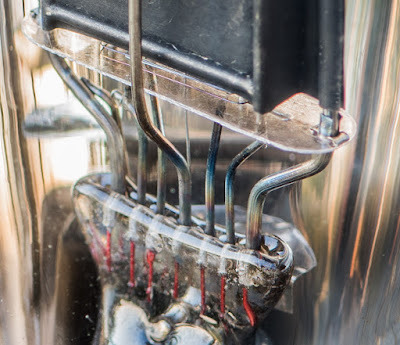 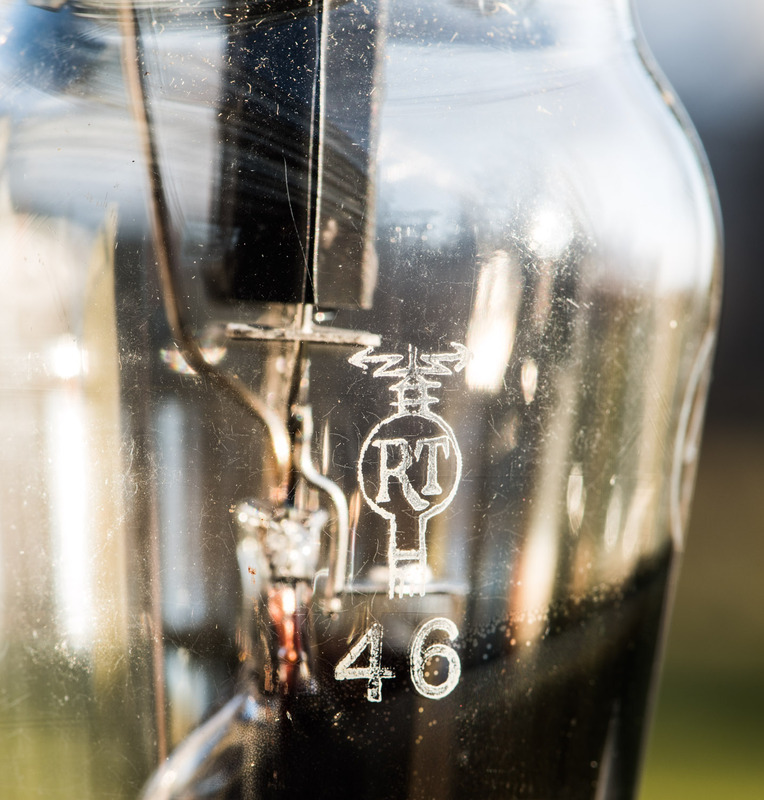 The 46 is called a dual grid power amplifier tube hence it has a 5 pin base. 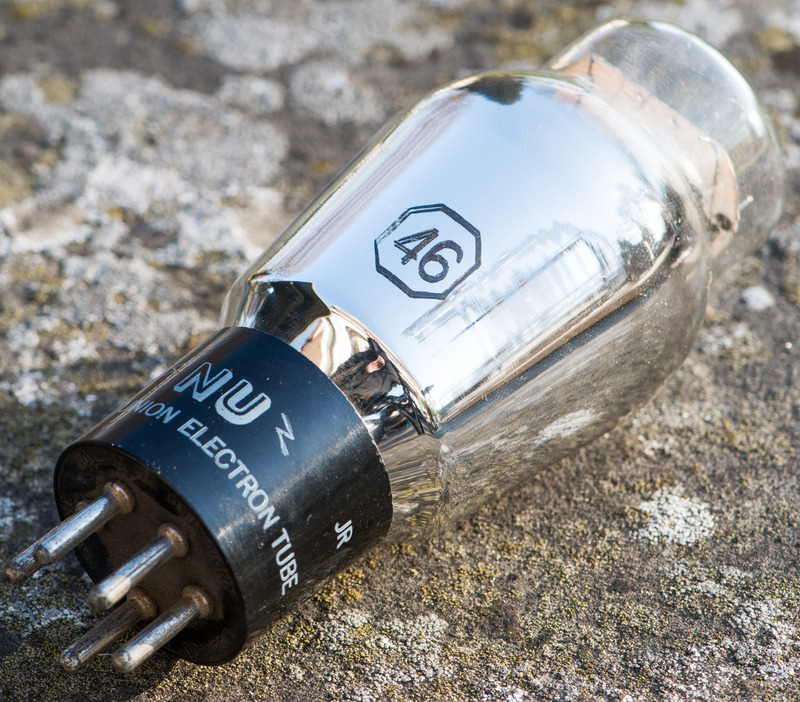 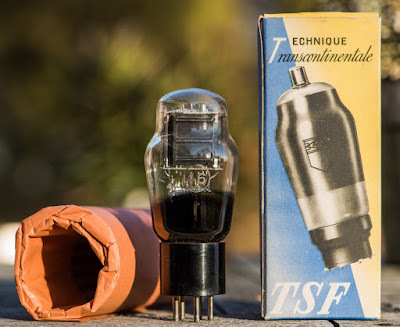 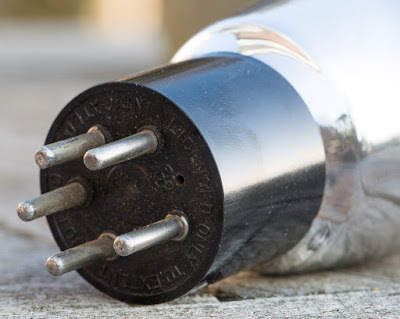 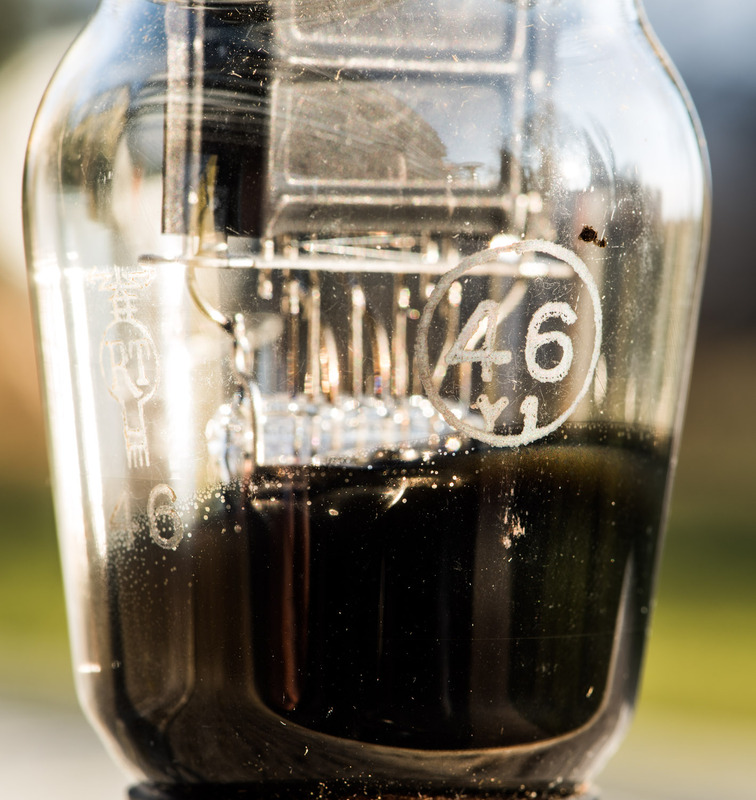 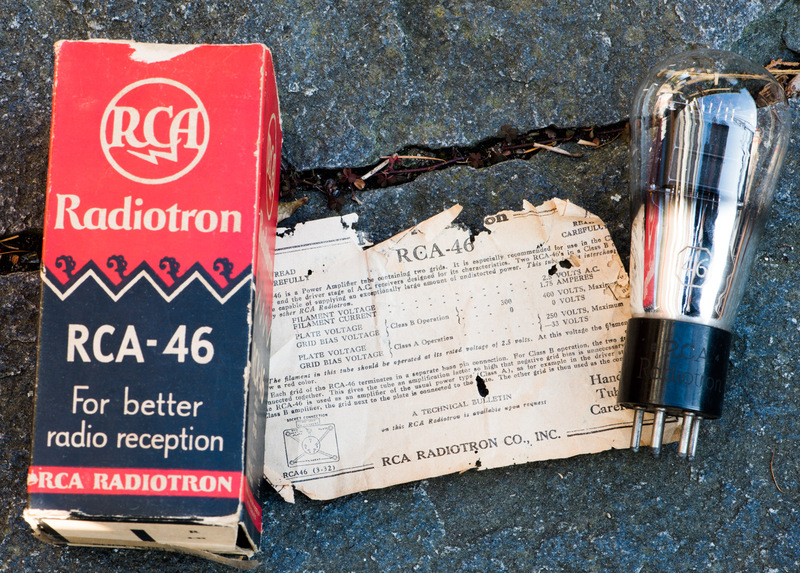 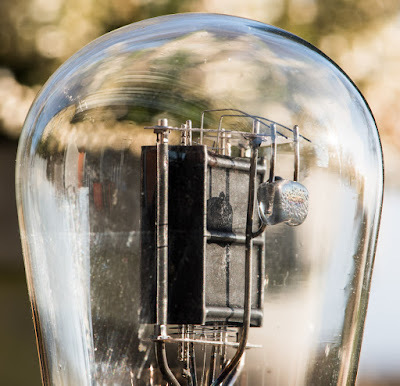 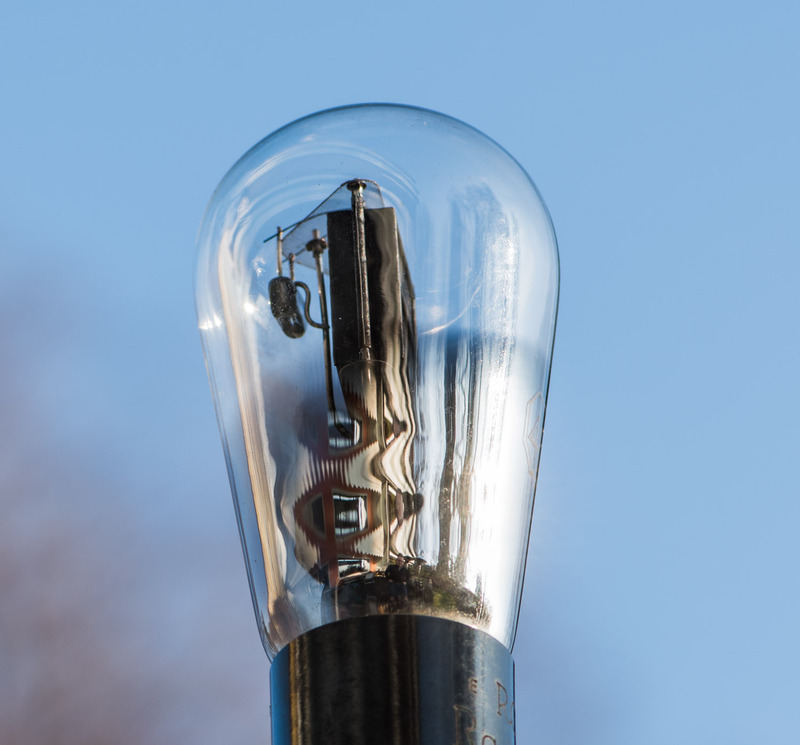 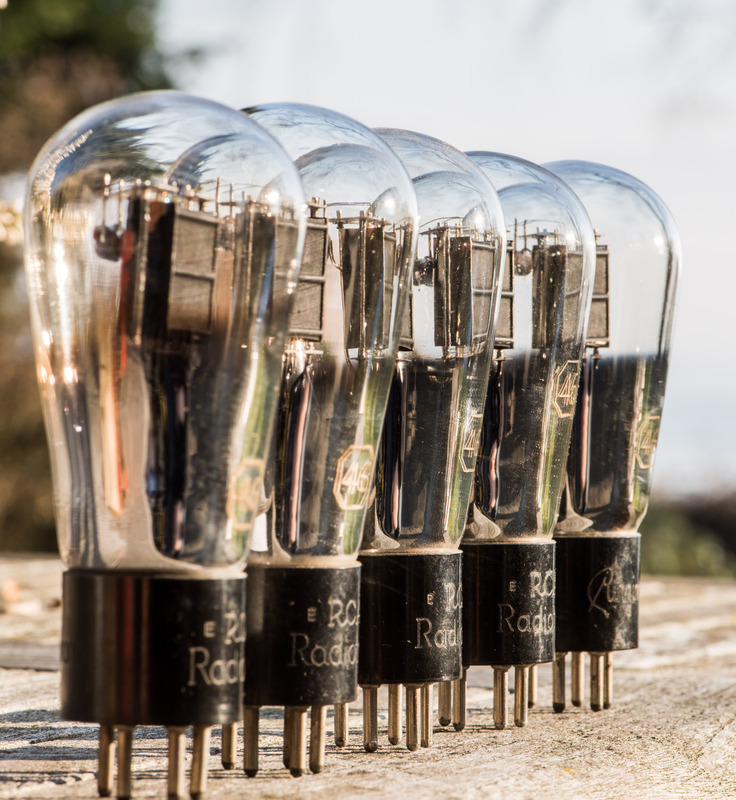 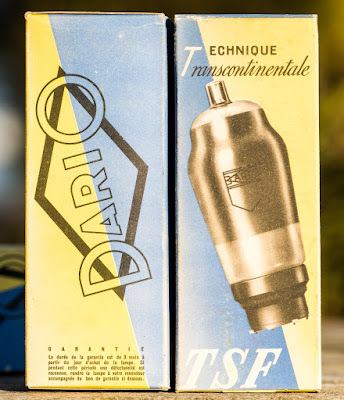 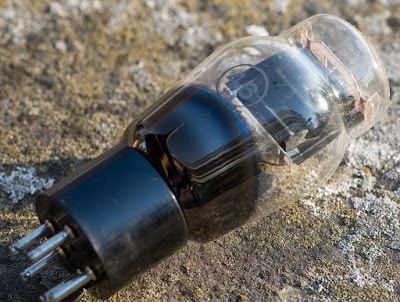 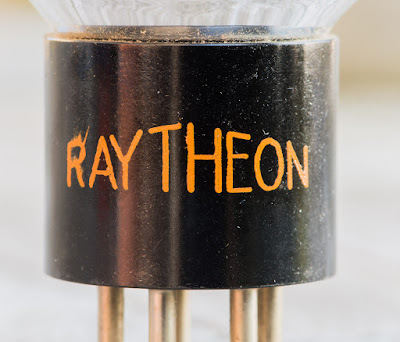 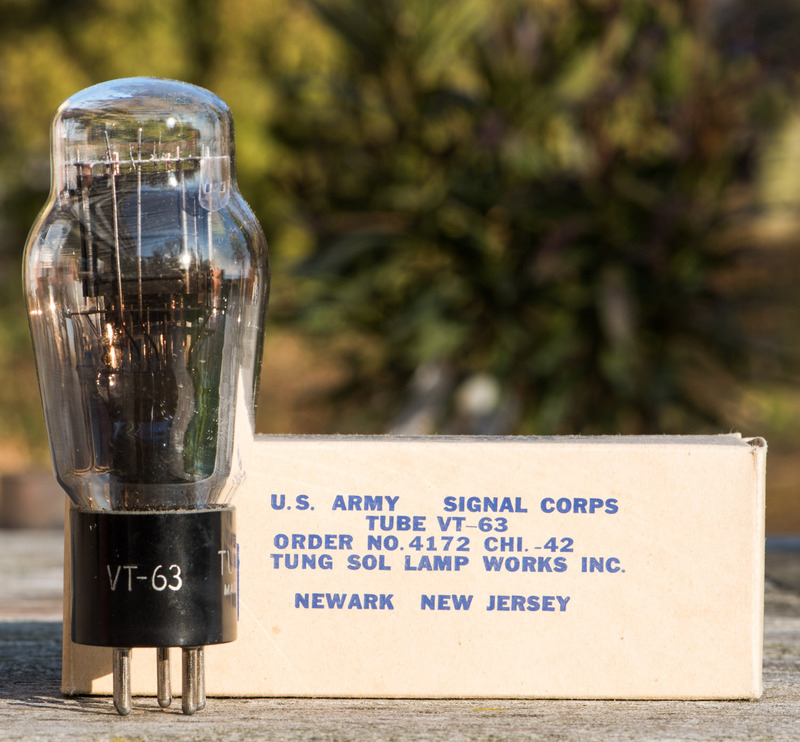 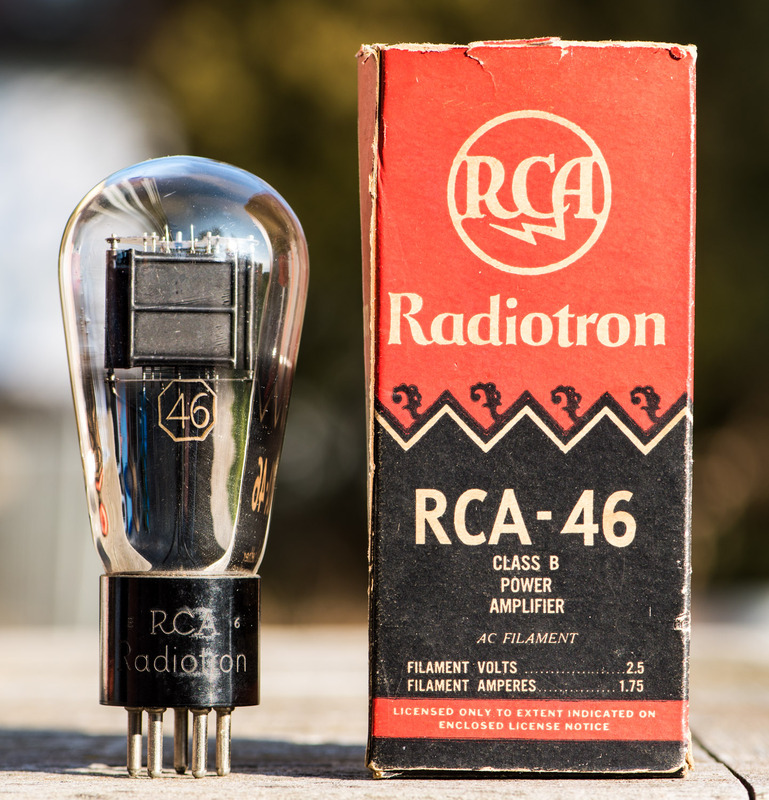 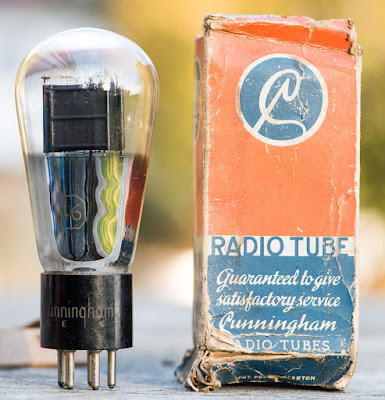 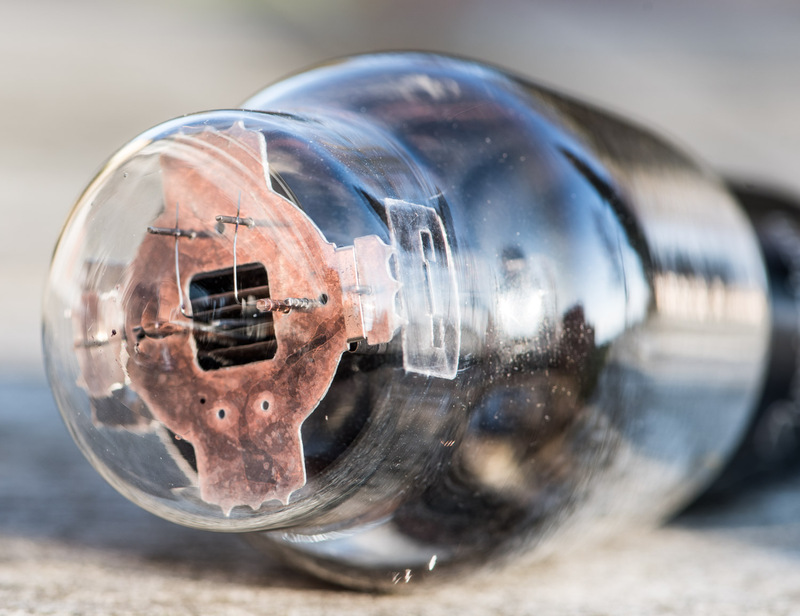 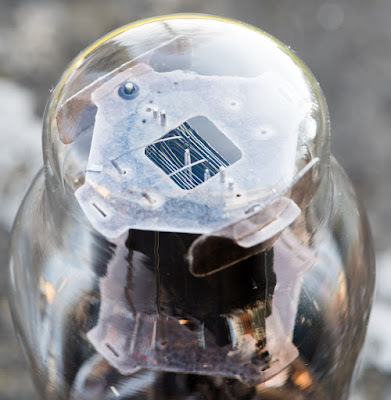 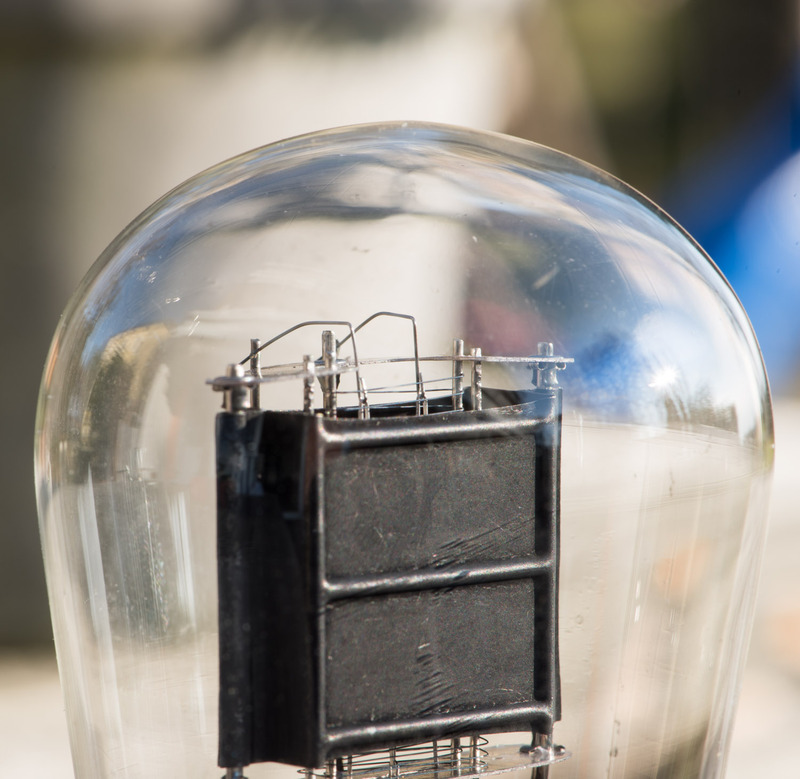 This is not to be confused with a tetrode since the 46 is only meant to be used as triode. 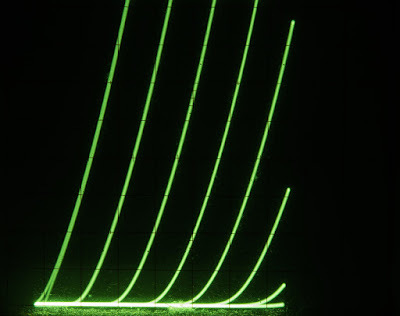 Depending on how the second grid adjacent to the plate is connected, a triode with different parameters is obtained. 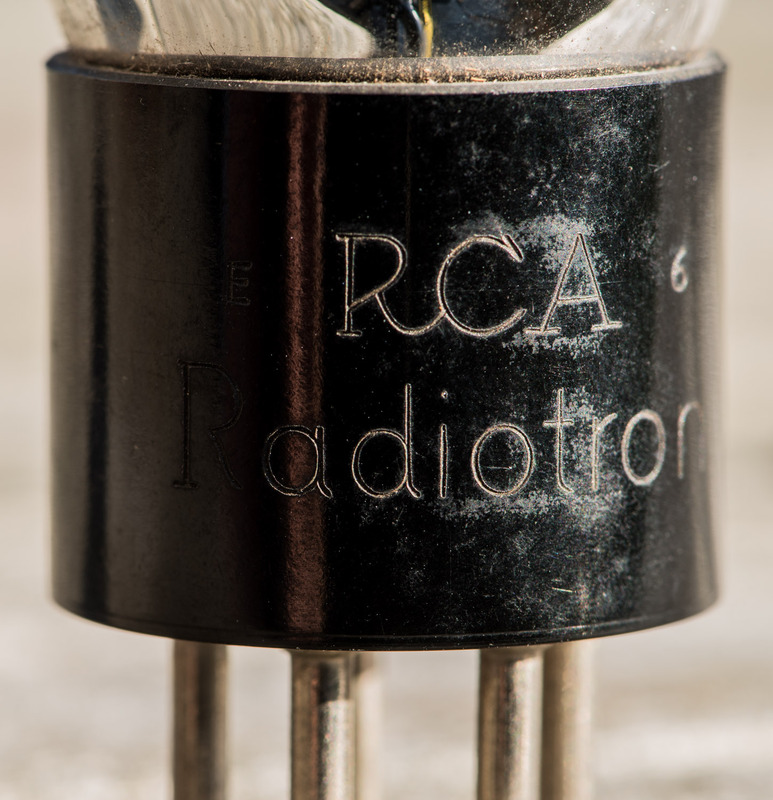 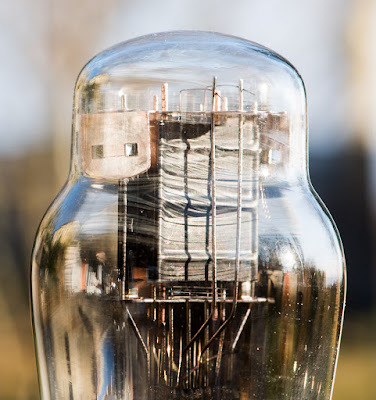 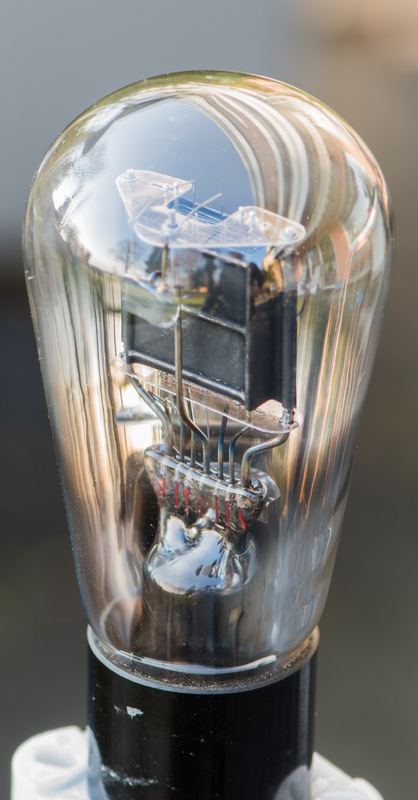 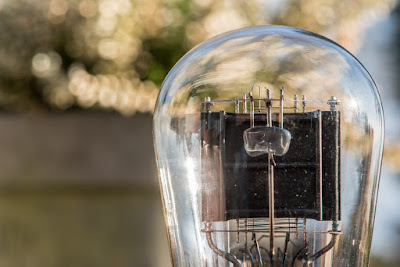 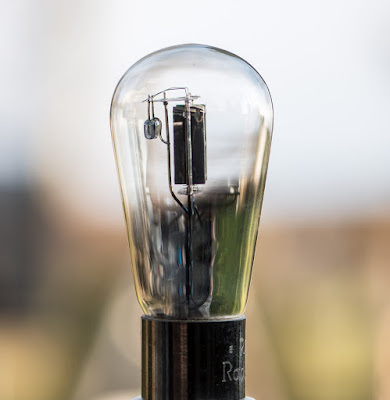 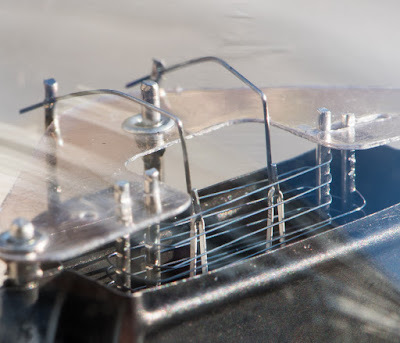 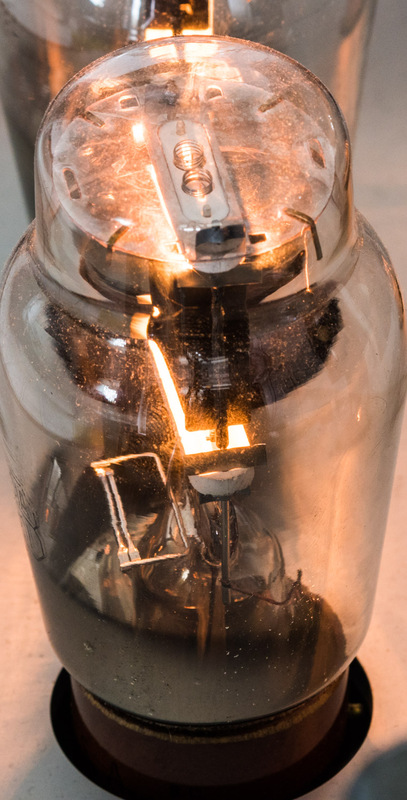 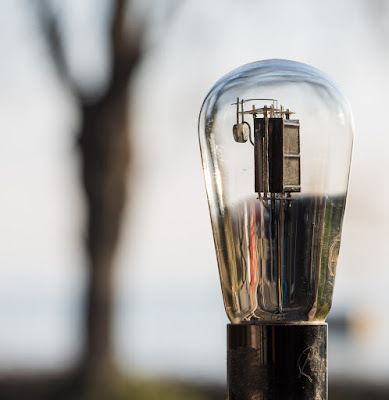 By tying both grids together we get a triode with high amplification factor which is meant to be used as output triode in a Class B push pull stage. 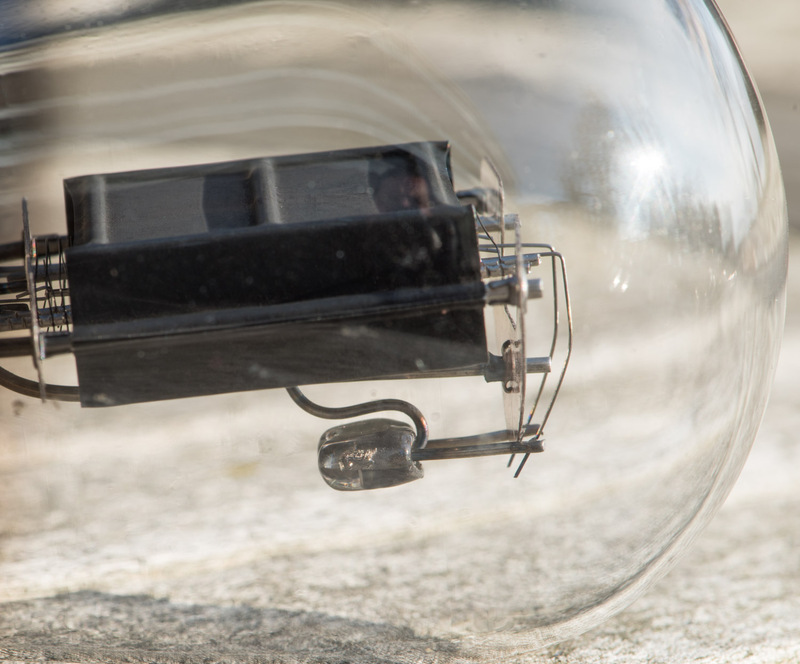 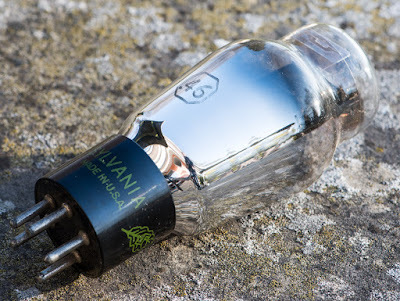 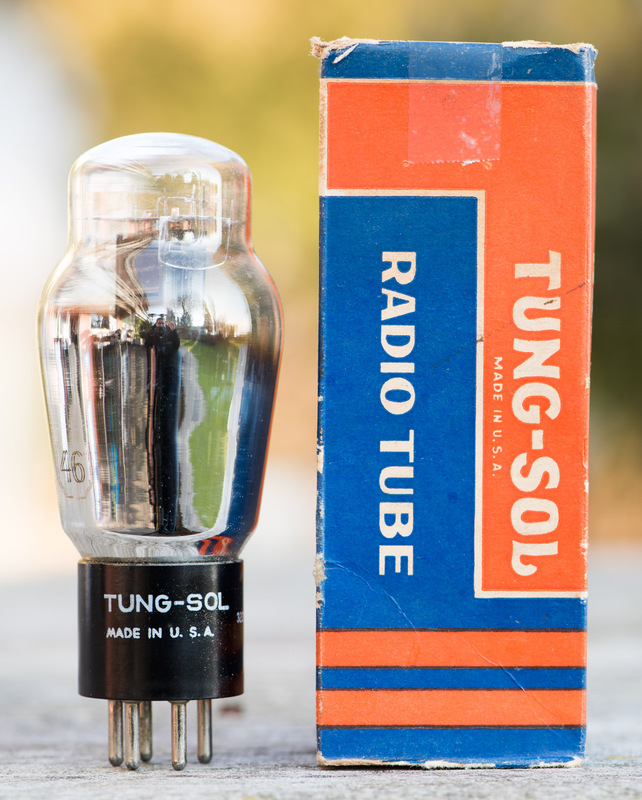 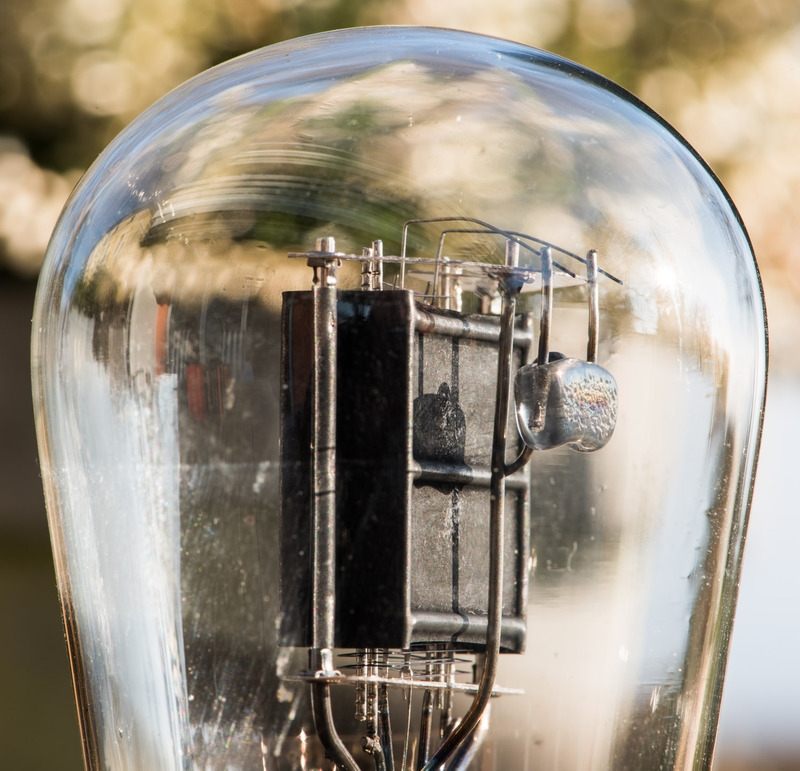 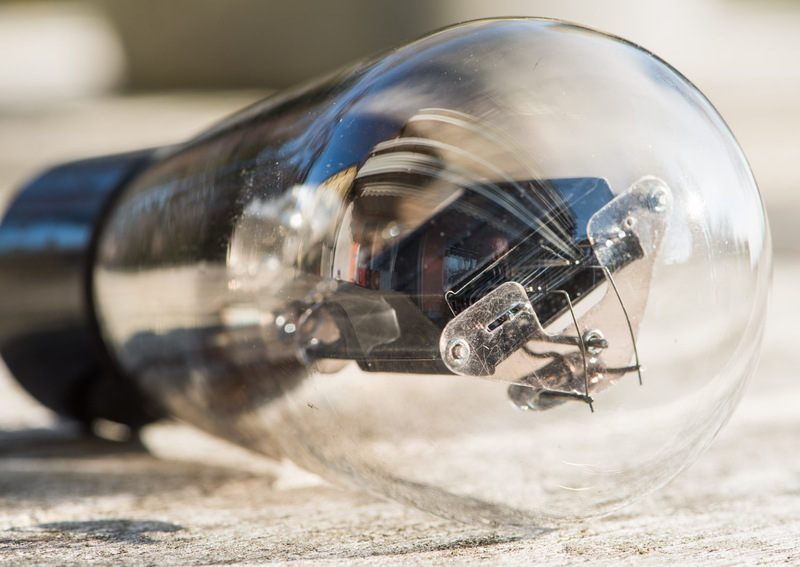 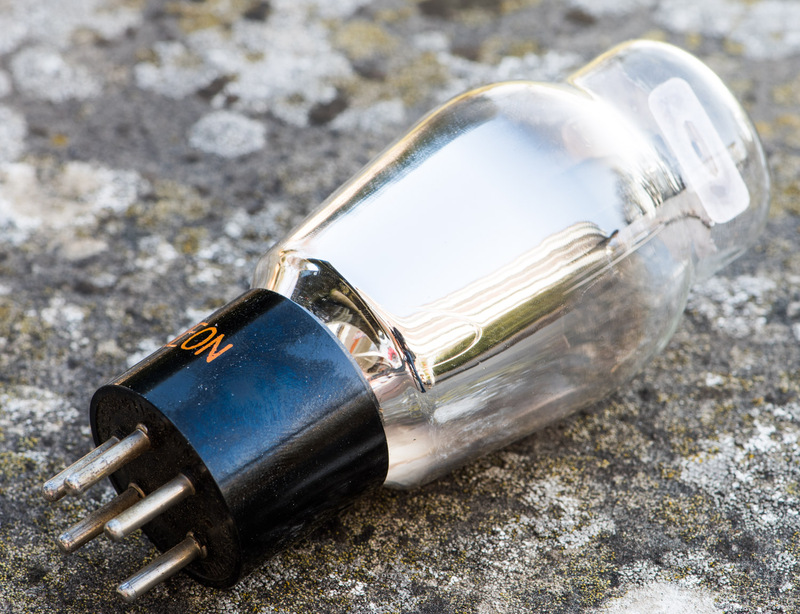 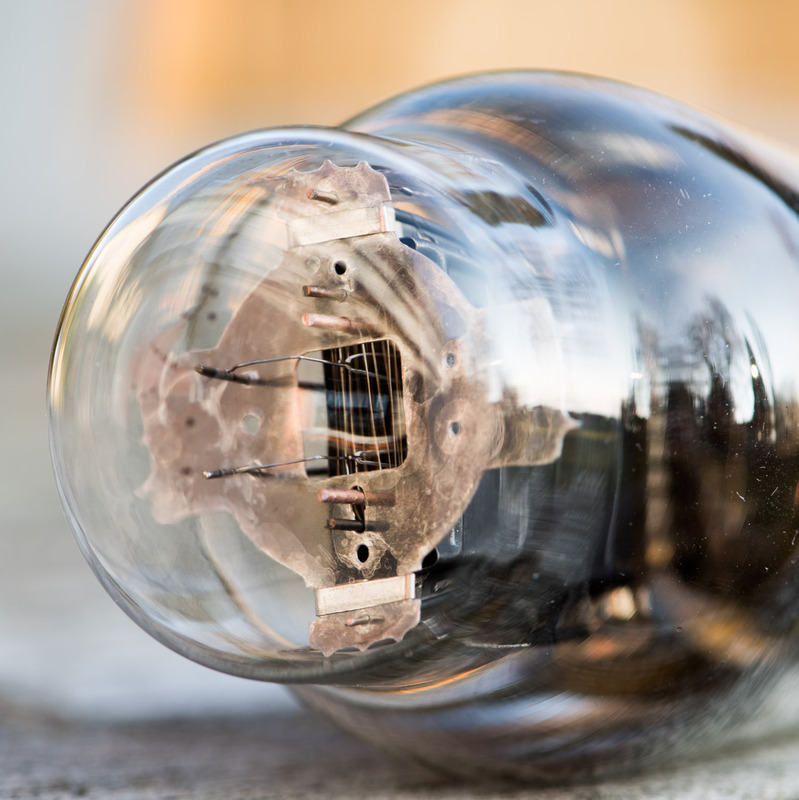 Two tubes in such a configuration deliver 10W output power. 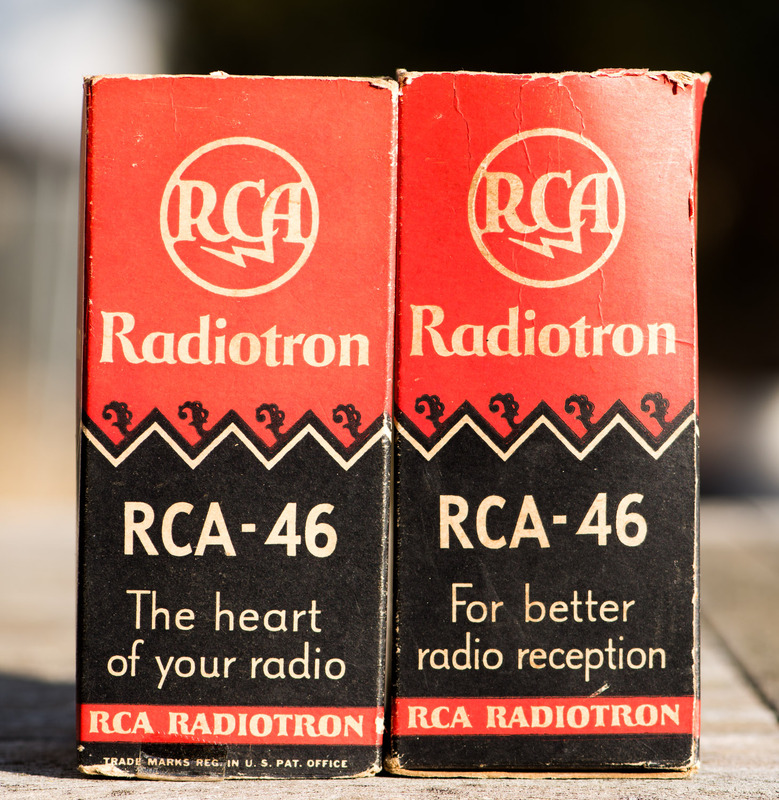 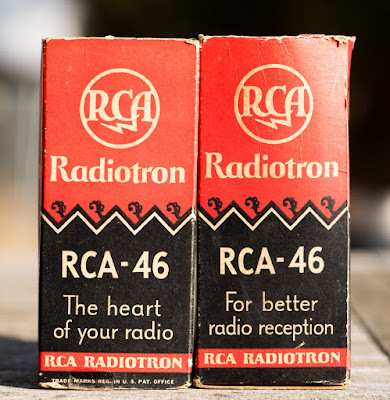 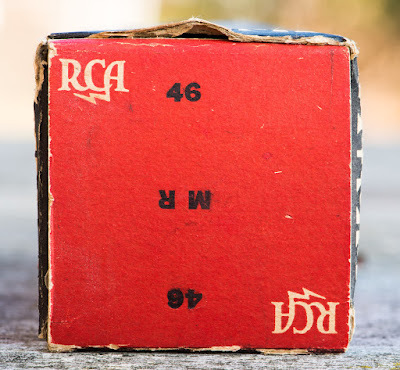 Such an amp design is shown in the RCA data sheet. 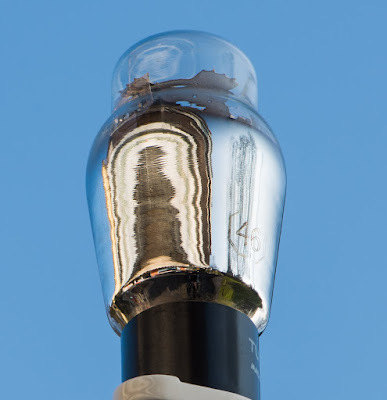 Since the tubes would be operated near zero grid bias, such an output stage would require some significant driving power. 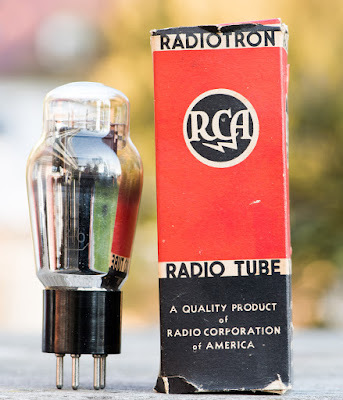 Here the other operating mode of the tube comes into play. 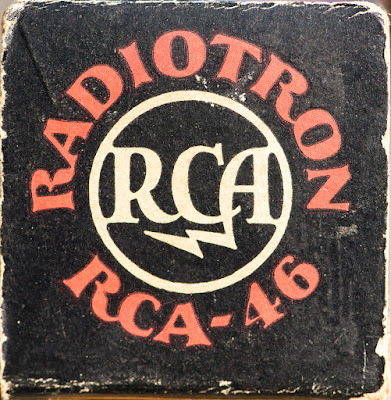 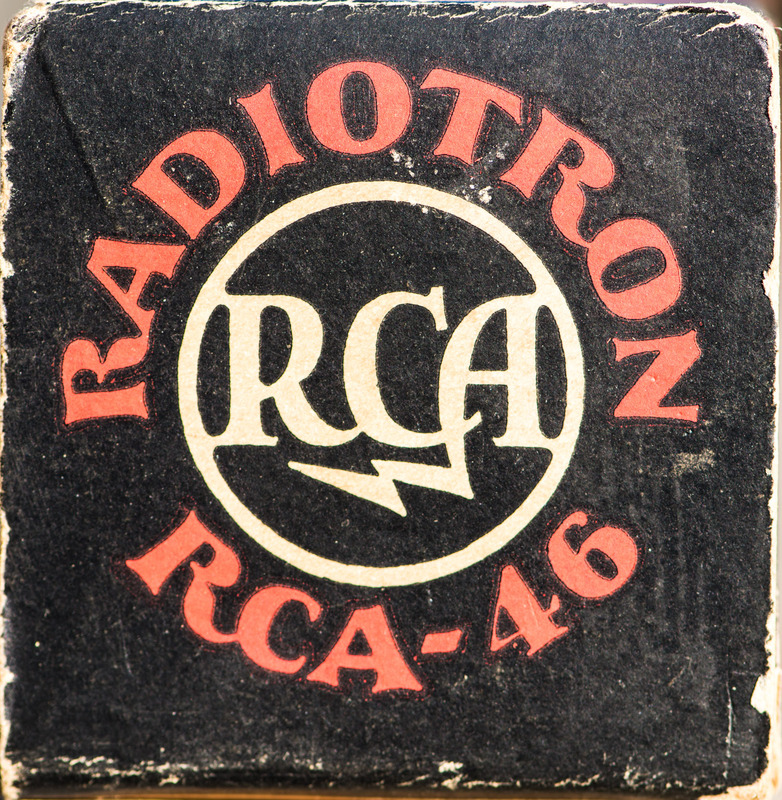 When the second grid is tied to the plate the resulting triode is very similar to a 45. 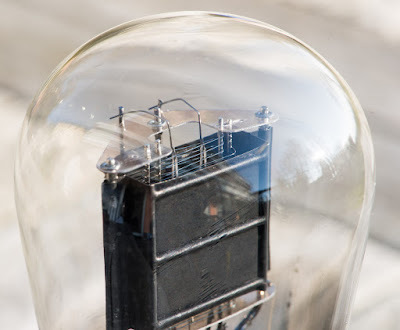 As transformer coupled driver stage it can deliver 1.25 Watts into the grids of the output tubes. 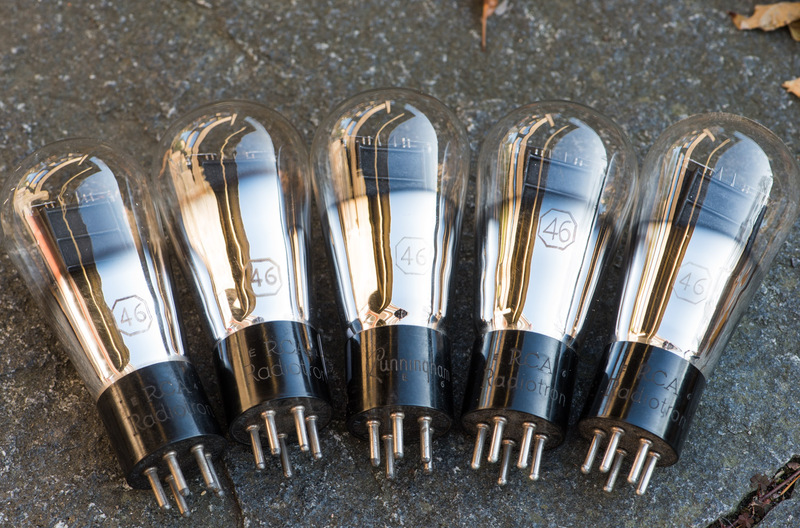 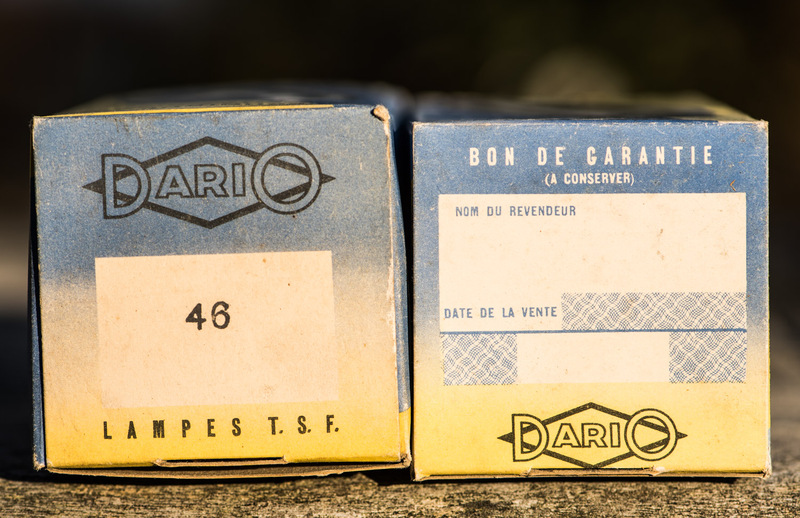 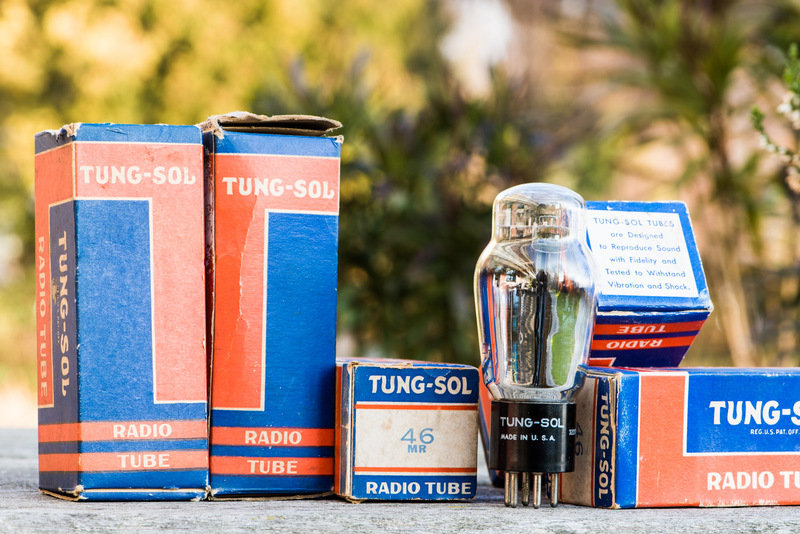 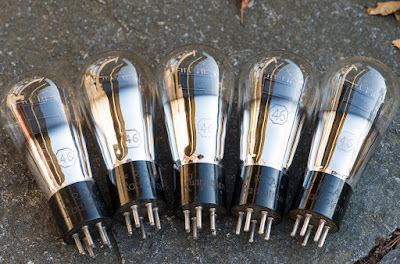 Let's have a look at some 46 tubes. Here we have the ST shape variety made by Sylvania which is a bit larger in size than the 45. 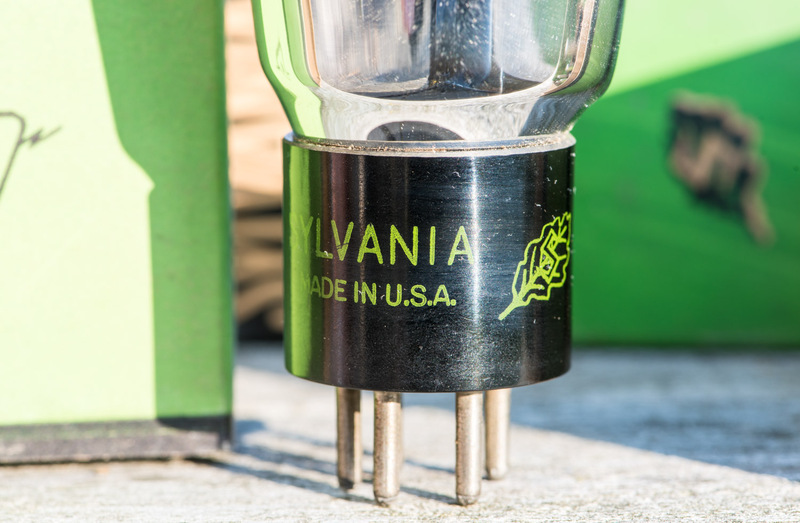 Nice green leaf logo printed on the base. 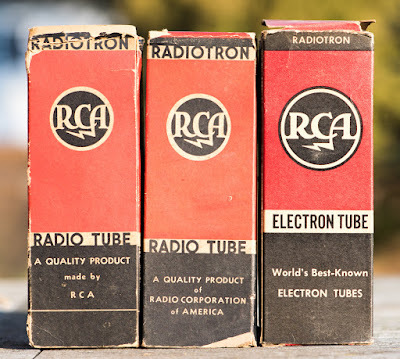 These, like almost all 46 tubes I saw, have an unusually large amount of getter in them. 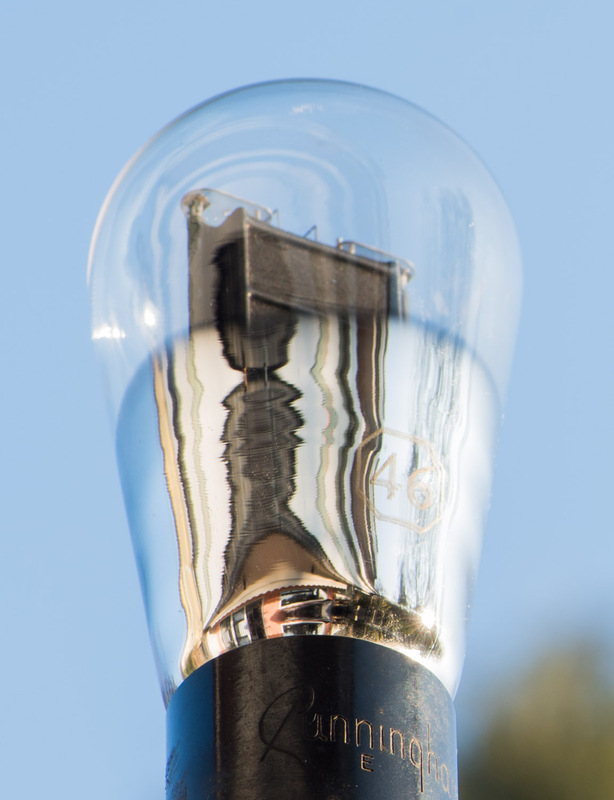 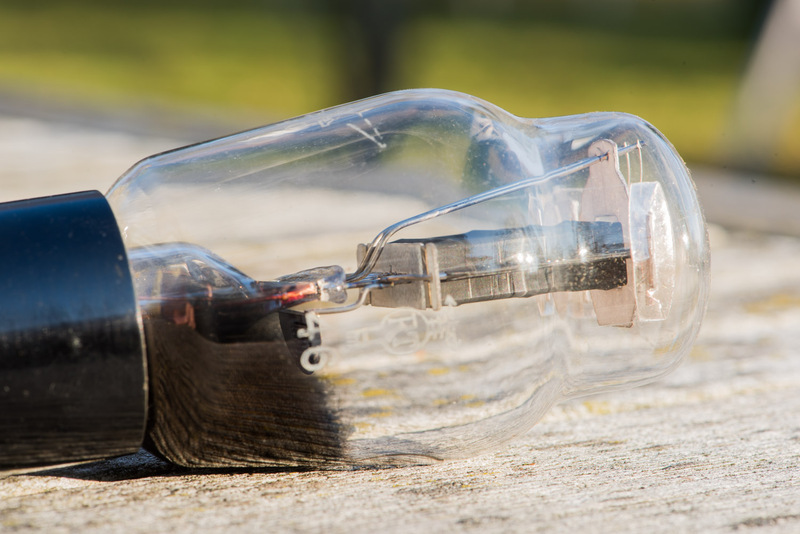 Almost covering the whole bulb up to the shoulder. 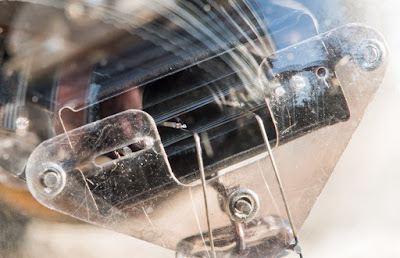 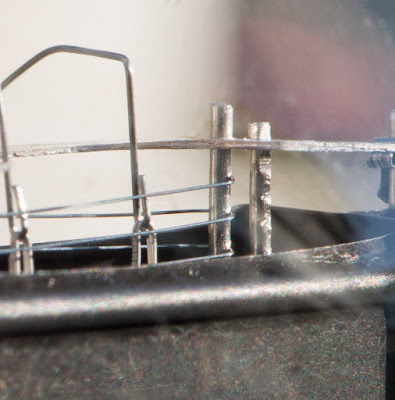 Interesting detail in the photo above: The vertical grid support rods are of different metal between the two grids. 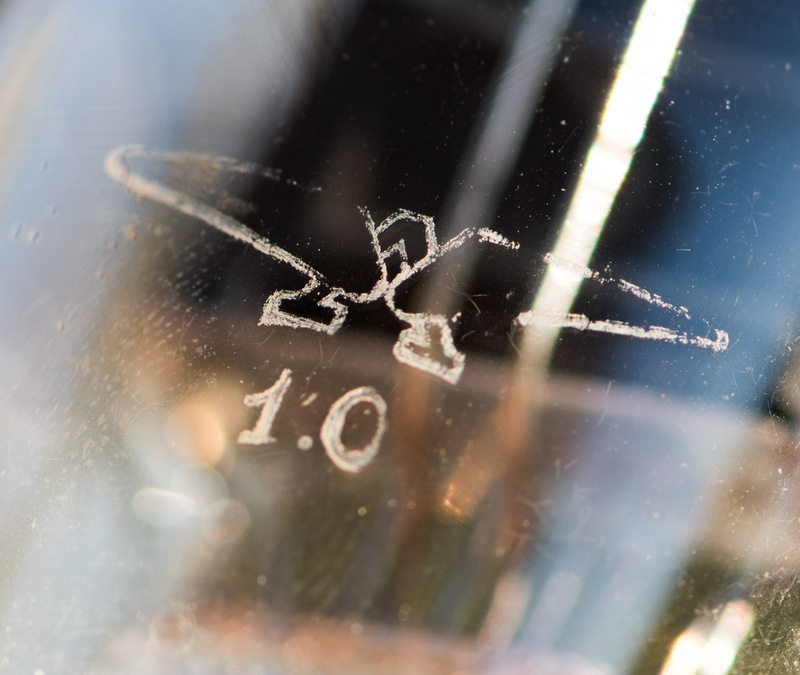 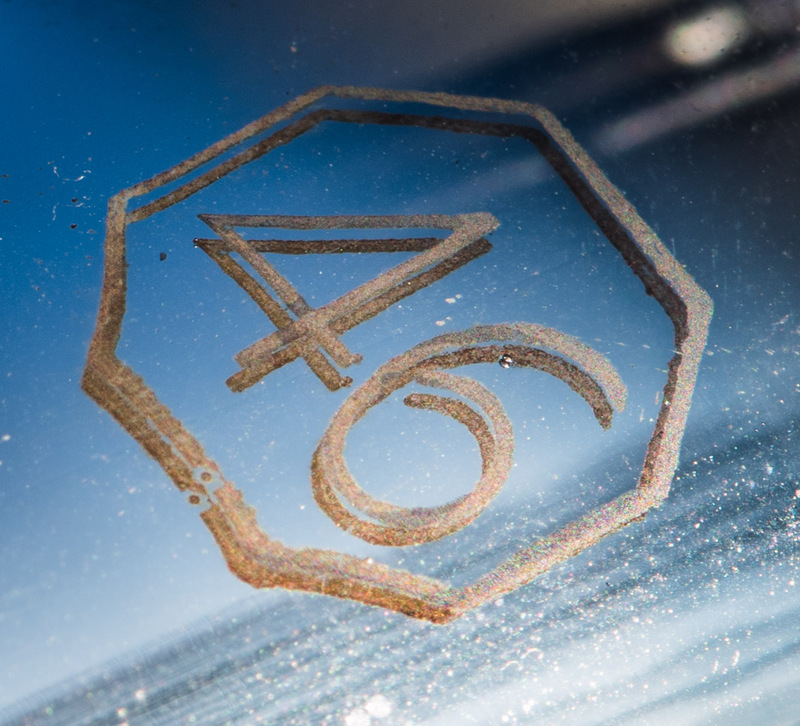 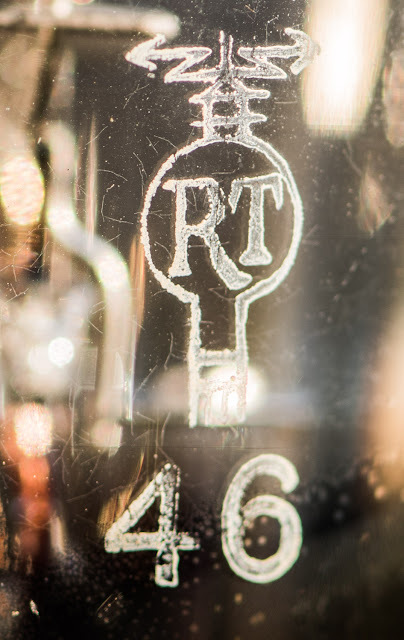 Interestingly the globe 46 don't have the 3 letter designations like the 45 which was named 245 or 345 before introduction of the ST-shape glass. 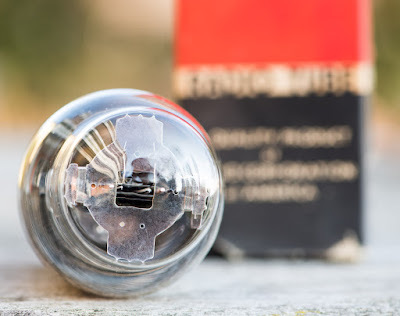 These globes are simply beautiful. 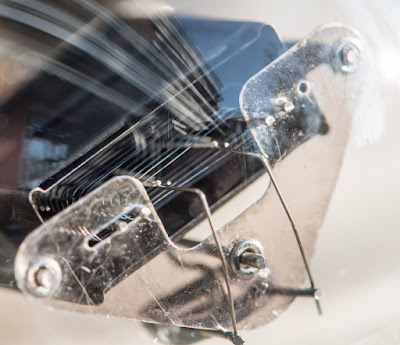 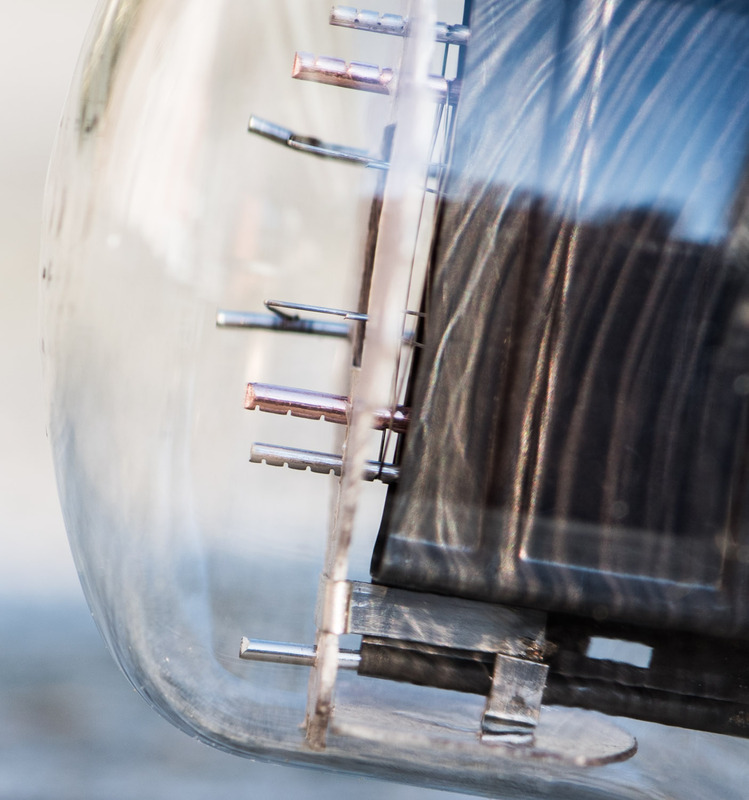 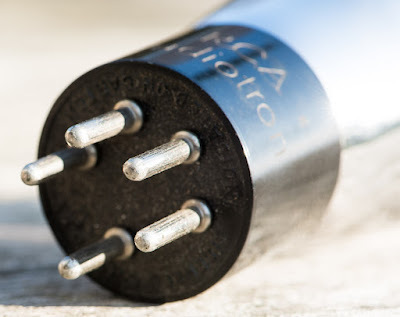 These have a combination of mica disc and glass piece for alignment of the electrodes. 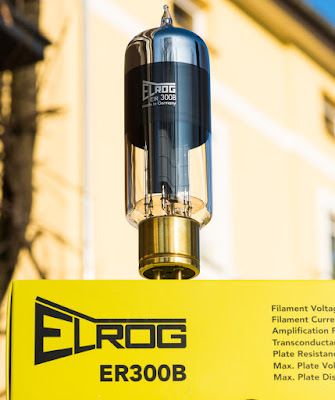 Being a tube manufacturer myself now, of course the ELROG 300B, 211 and 845 are among my very favourite directly heated tubes along with 10Y, 801A and 45 and now also the 46. 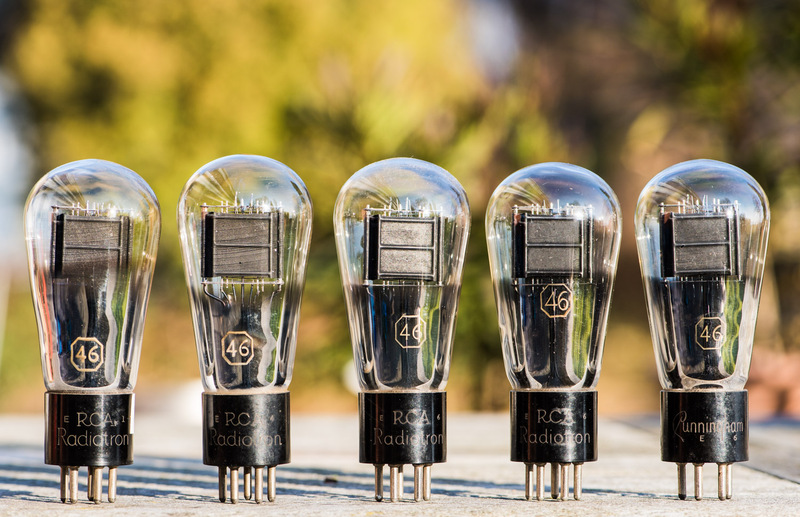 If you are up for a new amplifier and if your speakers are very sensitive, the 46 might be an excellent alternative outside of the mainstream! I hope that I will get the chance to build more amps with this tube and a 46 squared (46 drives 46) would be something worthwhile to explore! 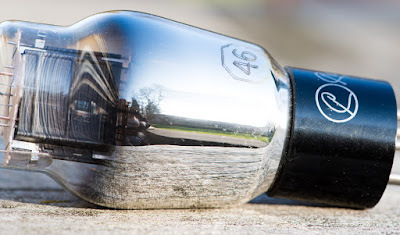 The 46 Back in Black!